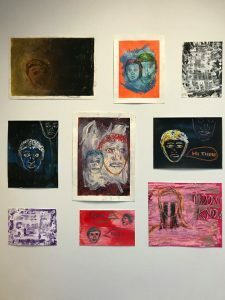 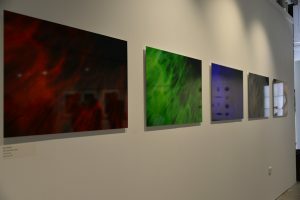 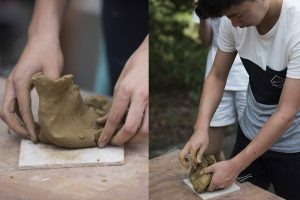 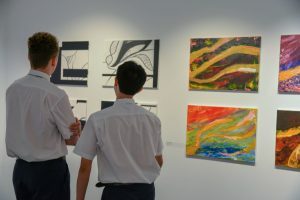 An exhibition presenting the work of Year 11 Higher School Certificate students and their residency with artist Jason Phu. 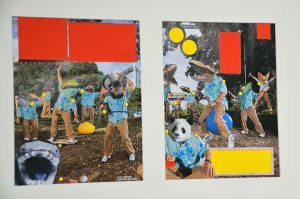 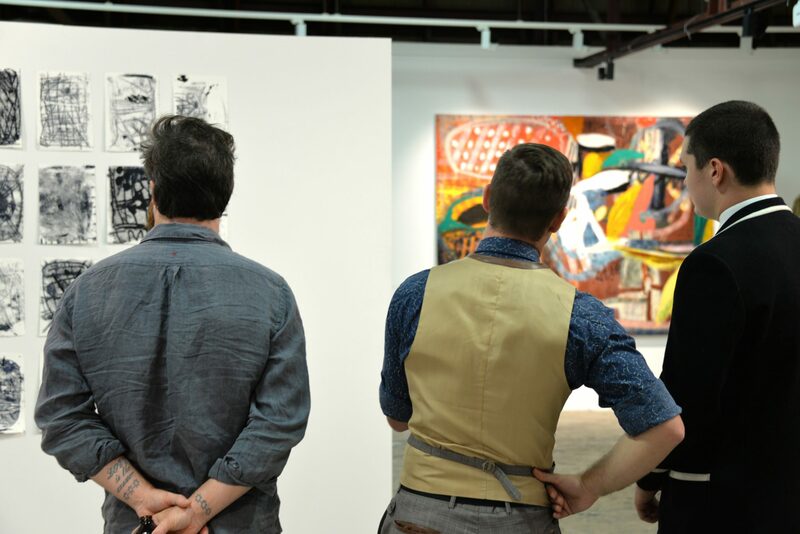 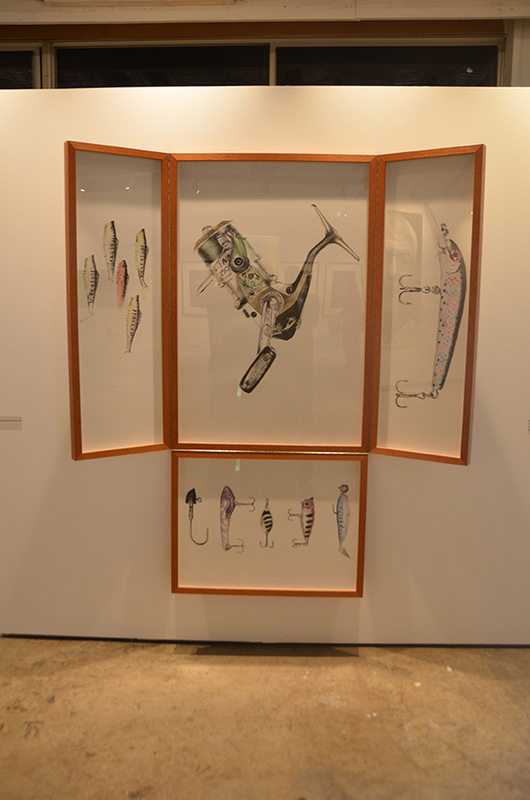 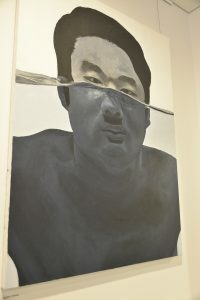 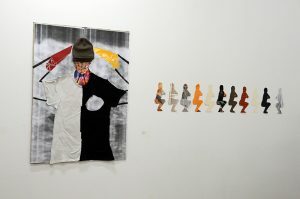 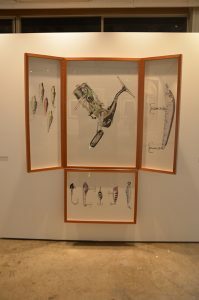 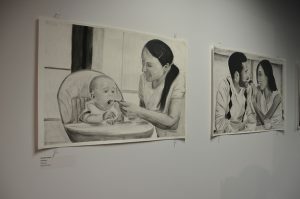 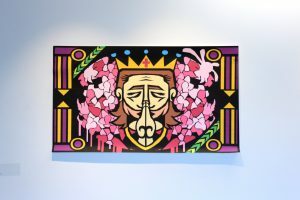 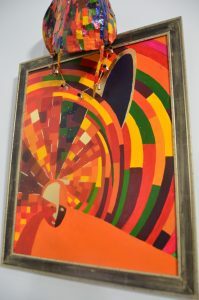 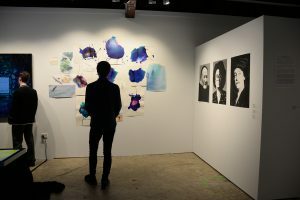 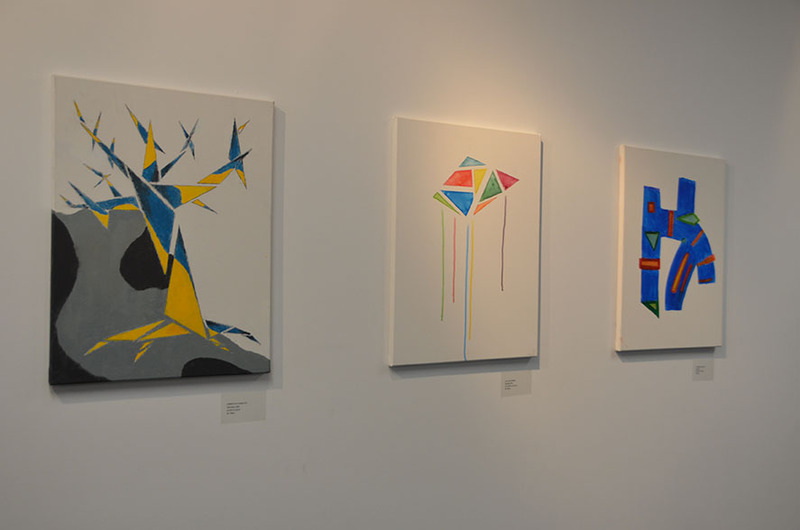 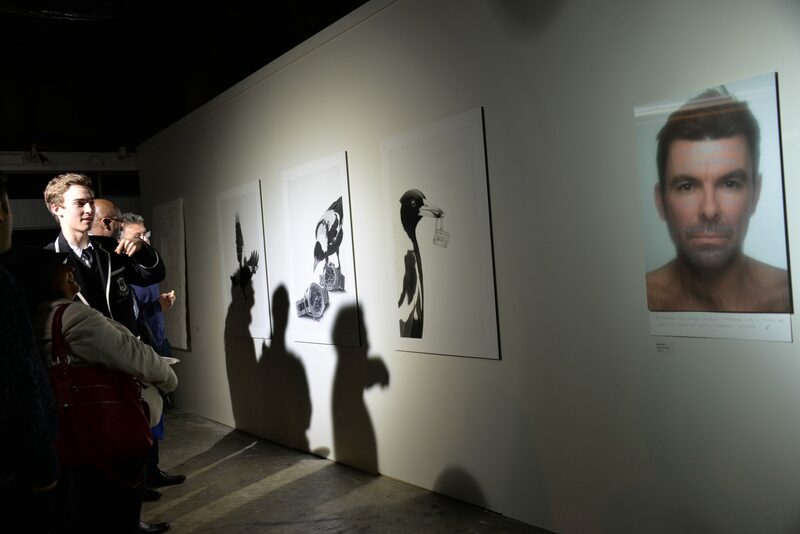 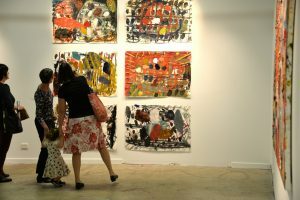 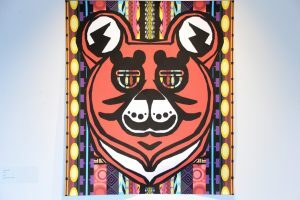 Jason Phu’s comical and laconic style challenged the boys’ artistic understanding and encouraged them to be honest and self-referential in their nonmimetic painting, drawing and printmaking. 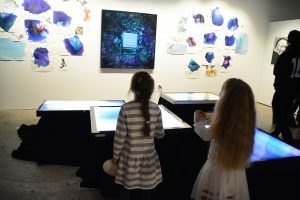 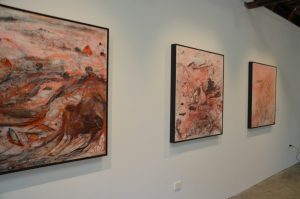 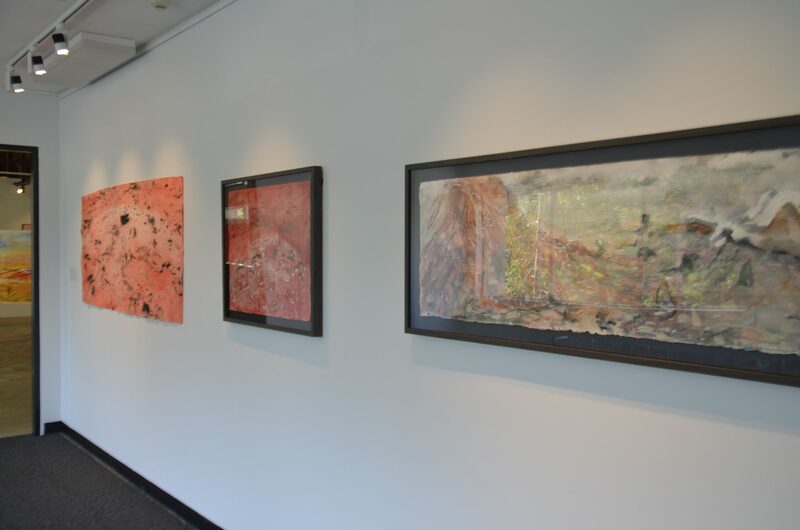 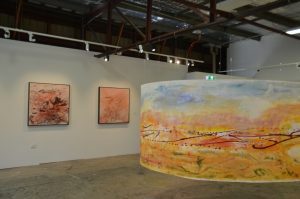 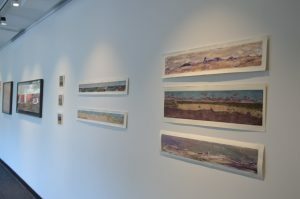 An exhibition inspired by the ancient landscape of Lake Mungo and the encompassing Willandra Lakes World Heritage Area in far western NSW. 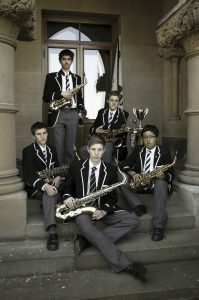 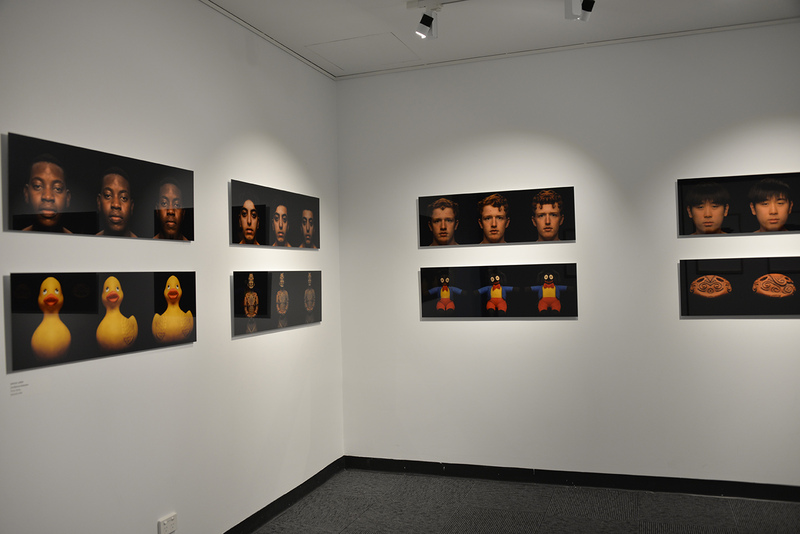 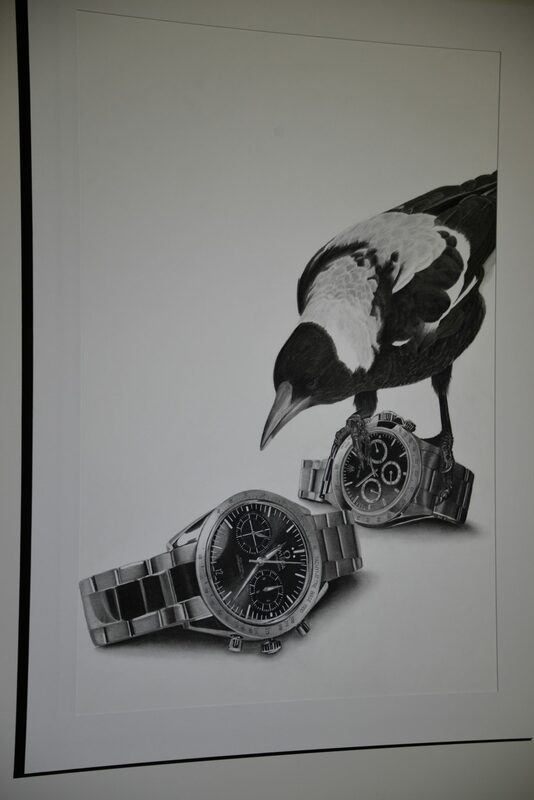 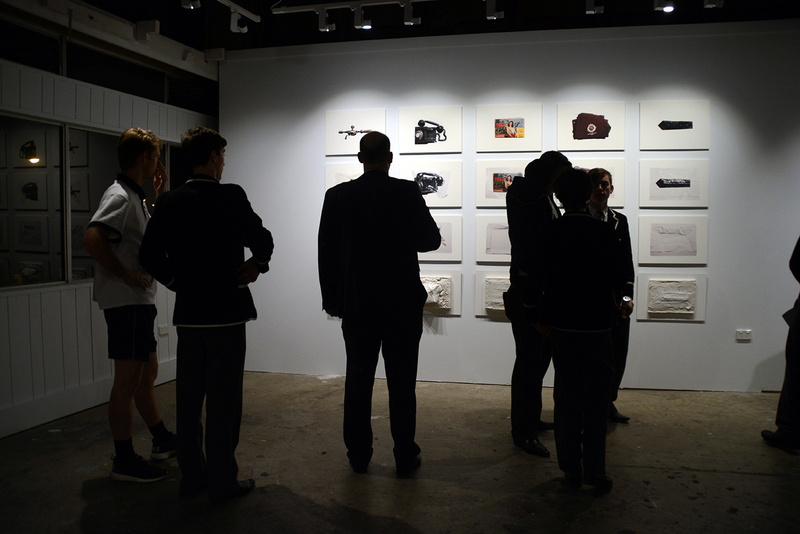 A Major Exhibition featuring seven individual exhibitions by Year 12 Visual Arts IBDP artists. 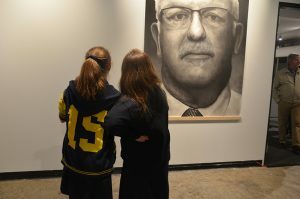 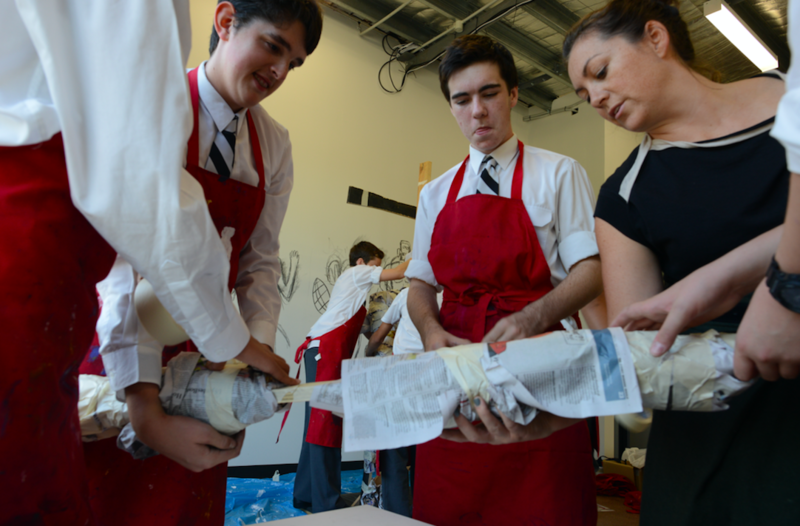 Students wrestle with themes that are often hard to handle – personal matters that are close to the heart. 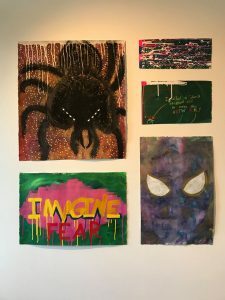 Some of the works reference fears and uncertainties that are a big part of growing up. Others question the future and make visual statements about the world being a better place without cultural prejudice or discrimination. 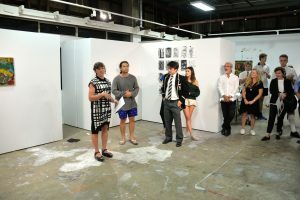 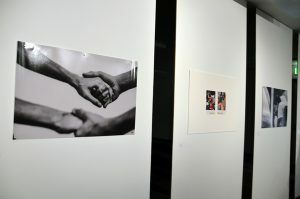 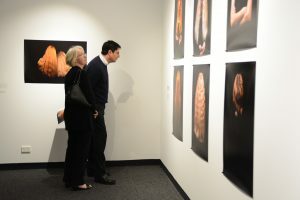 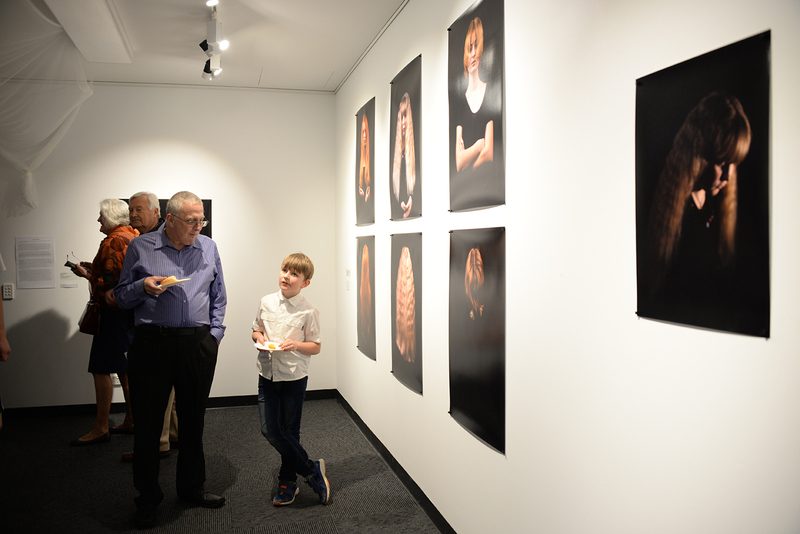 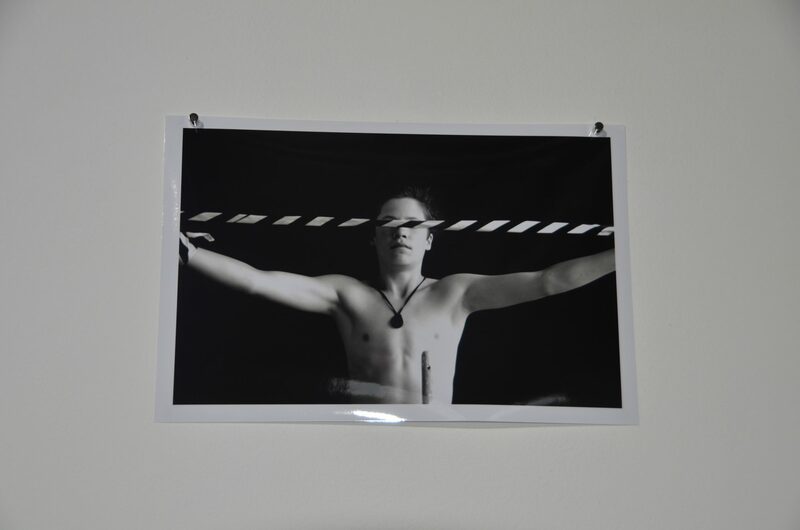 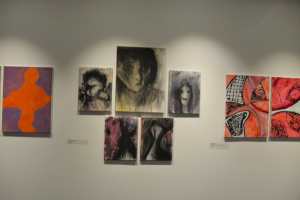 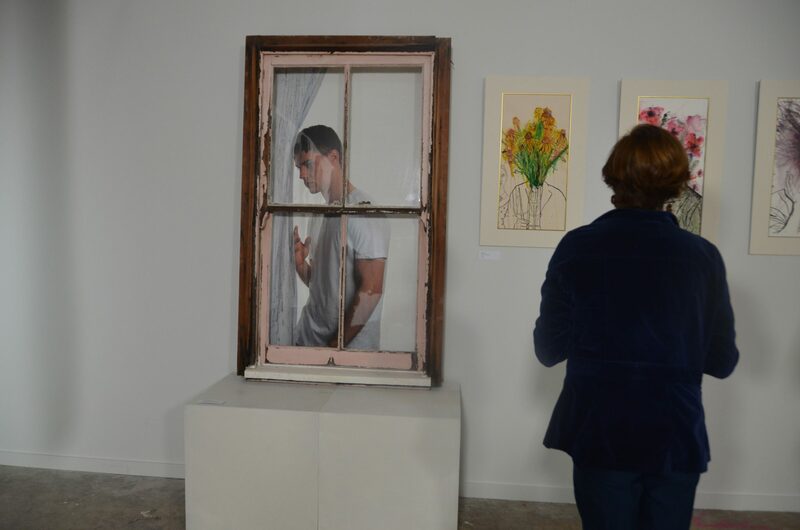 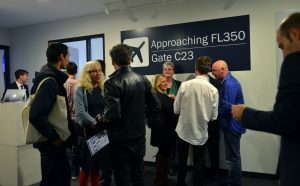 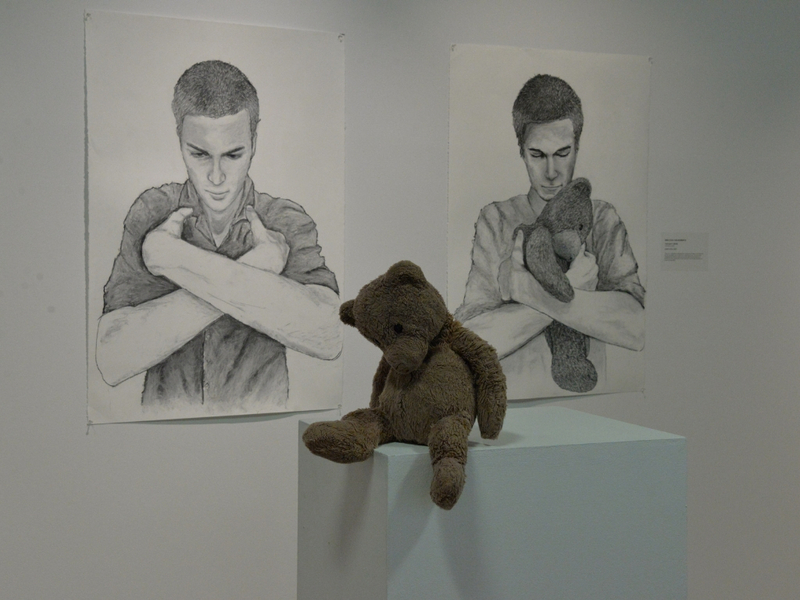 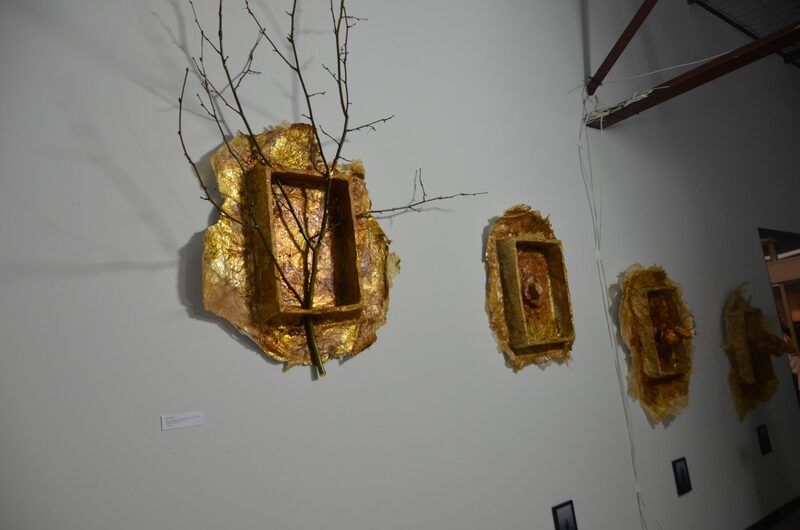 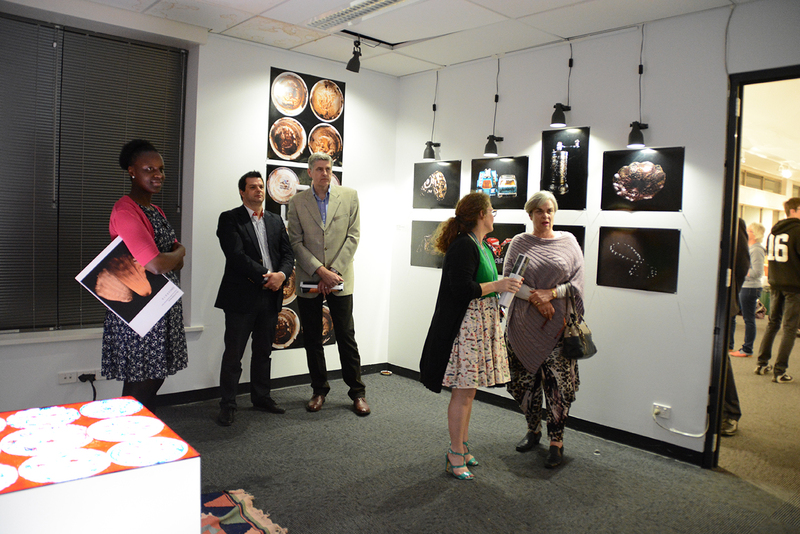 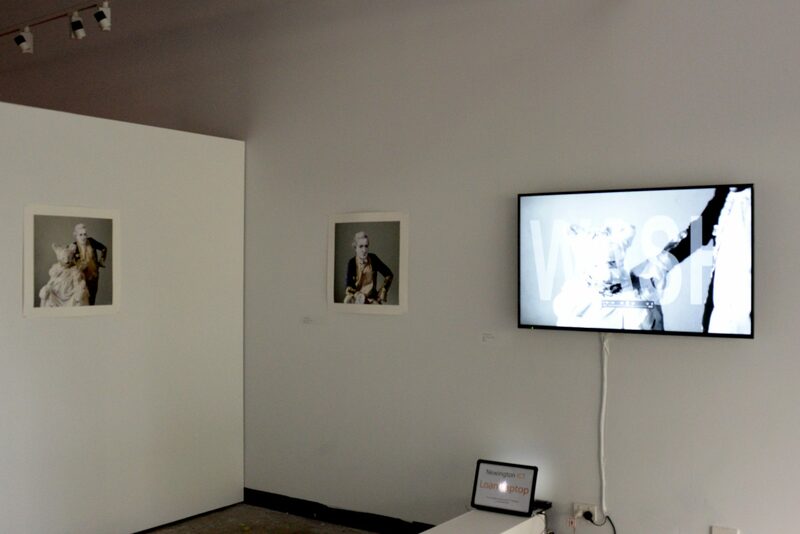 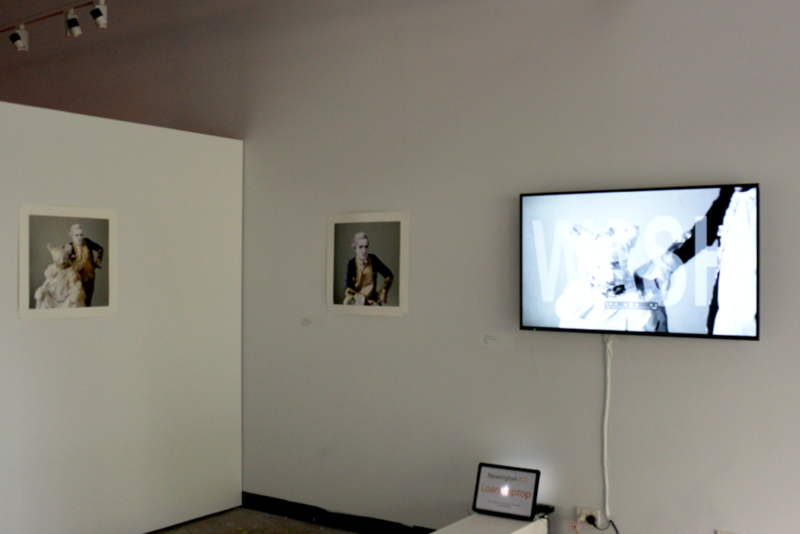 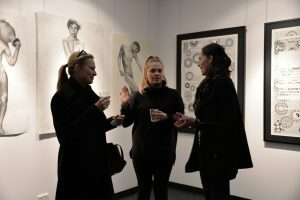 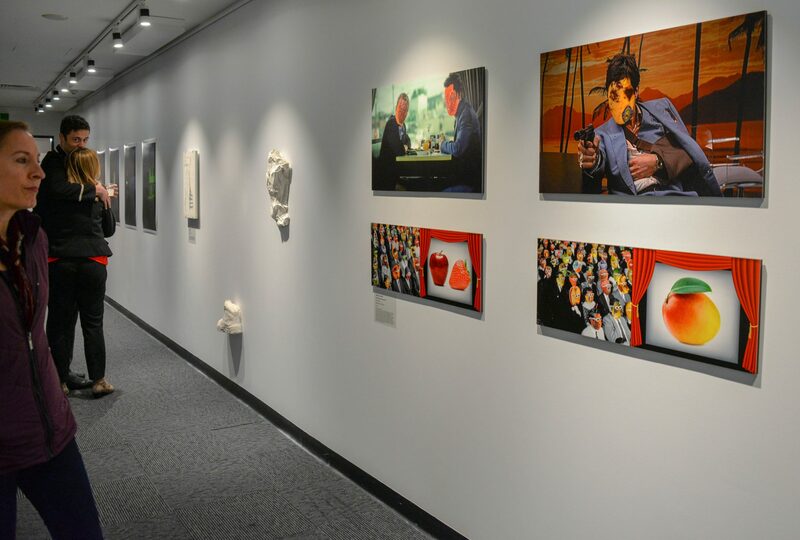 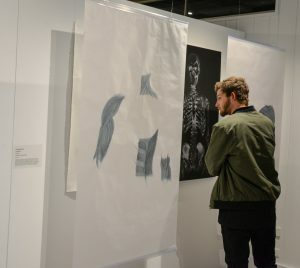 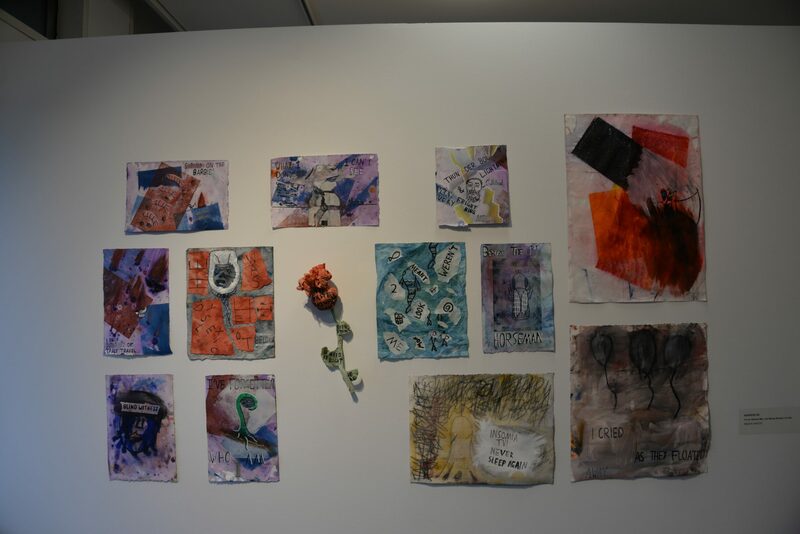 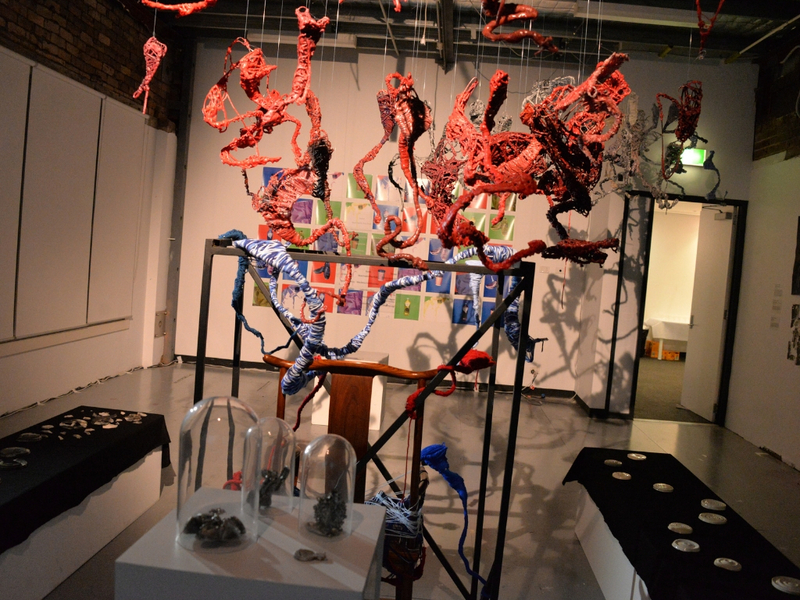 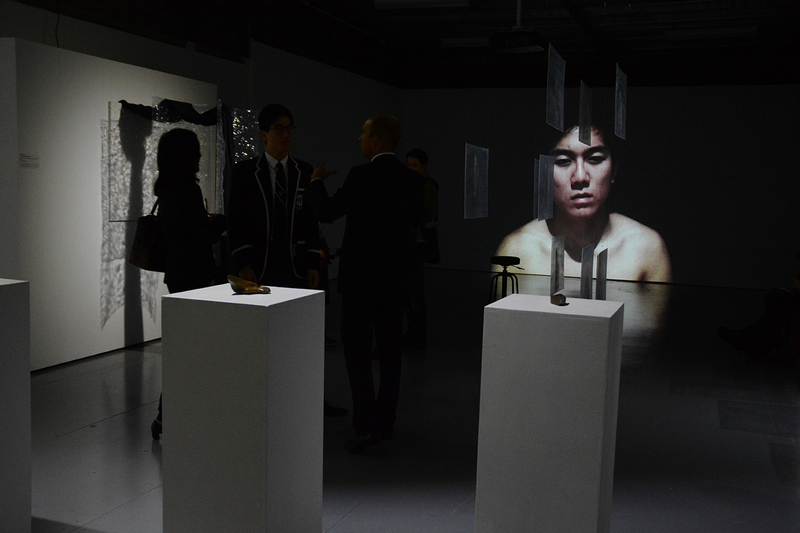 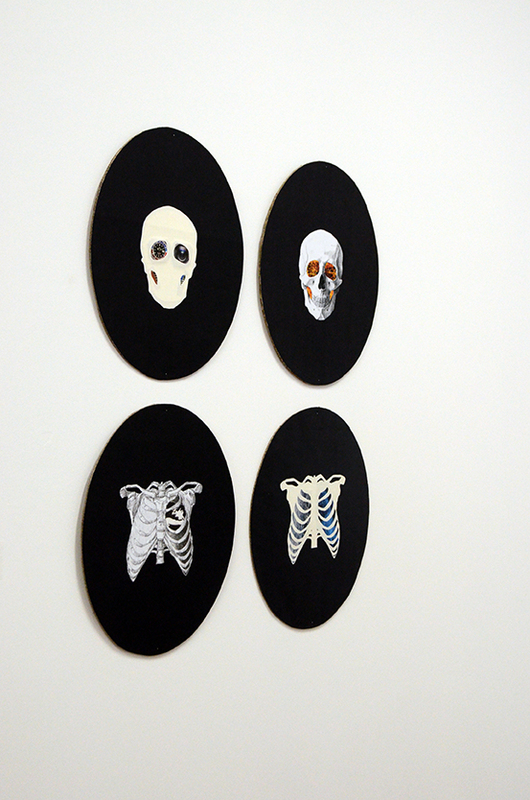 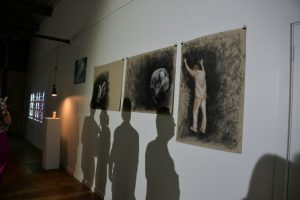 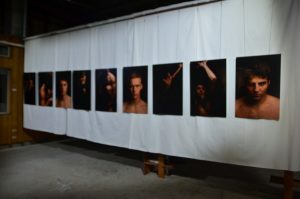 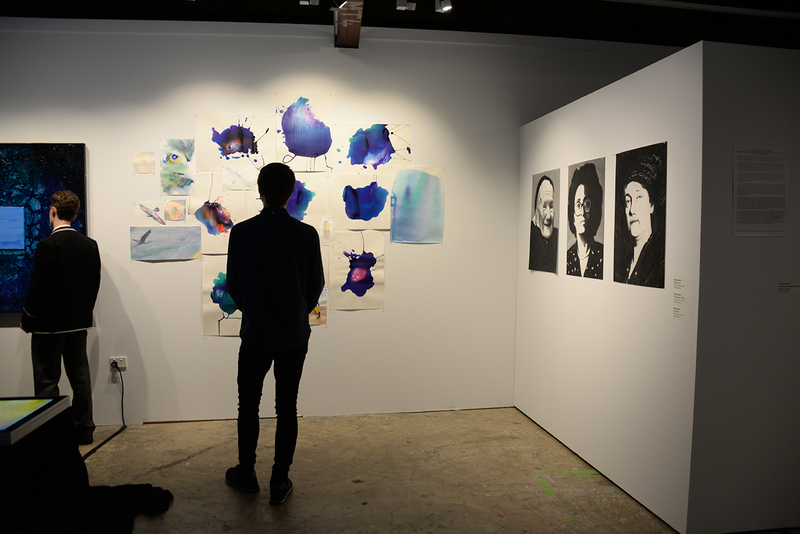 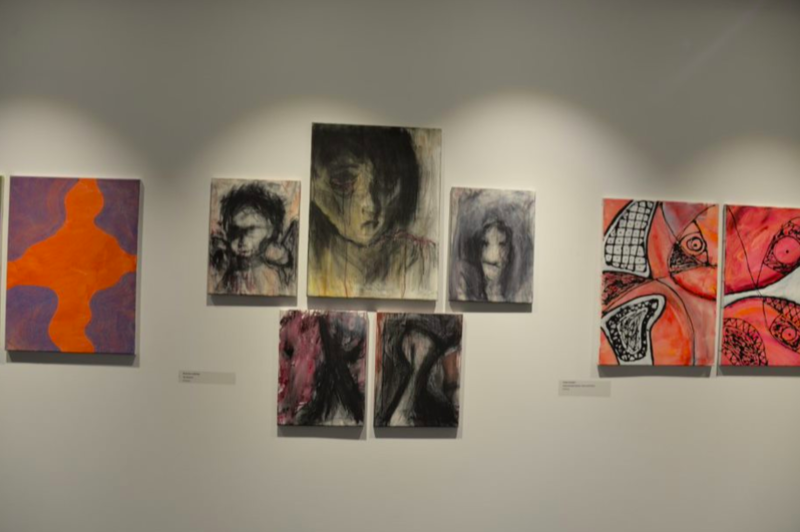 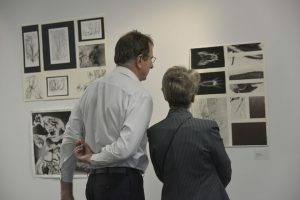 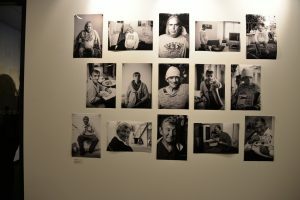 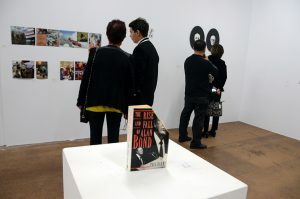 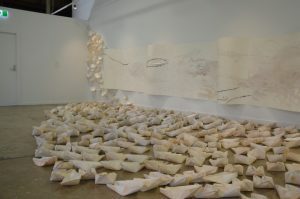 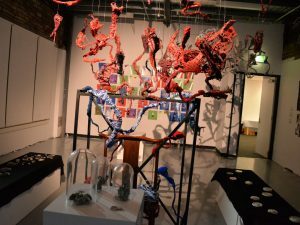 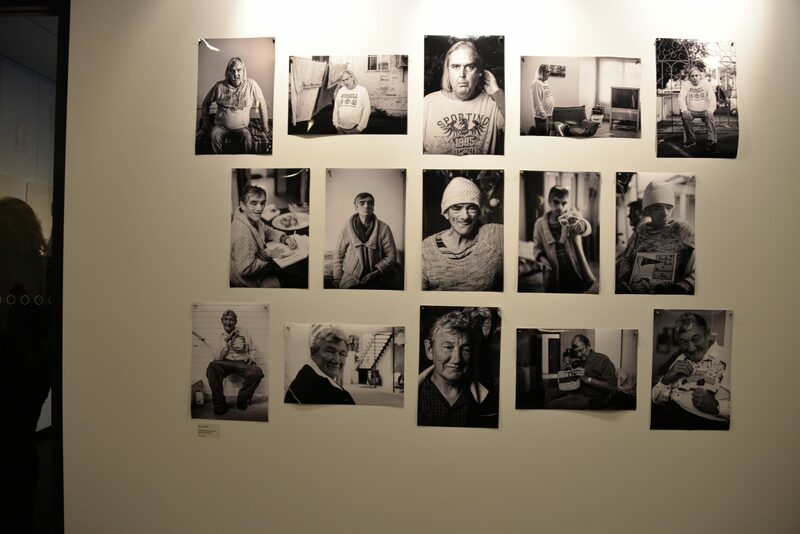 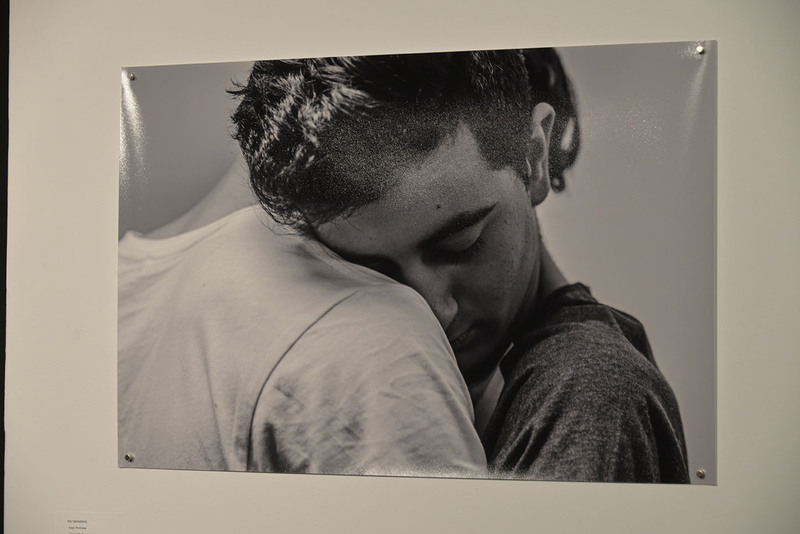 An exhibition of Bodies of Work produced by HSC Visual Arts students. 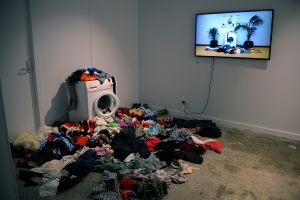 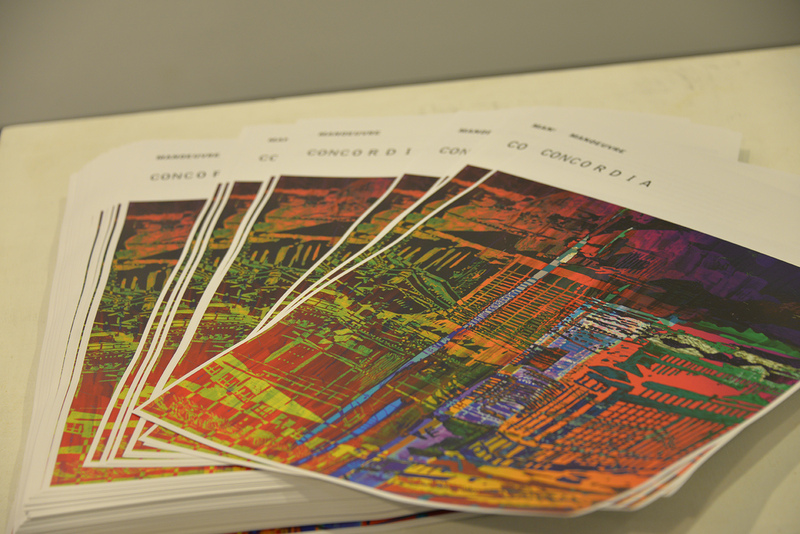 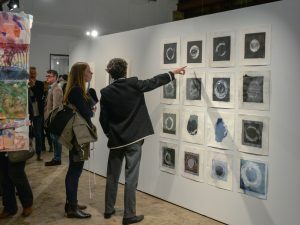 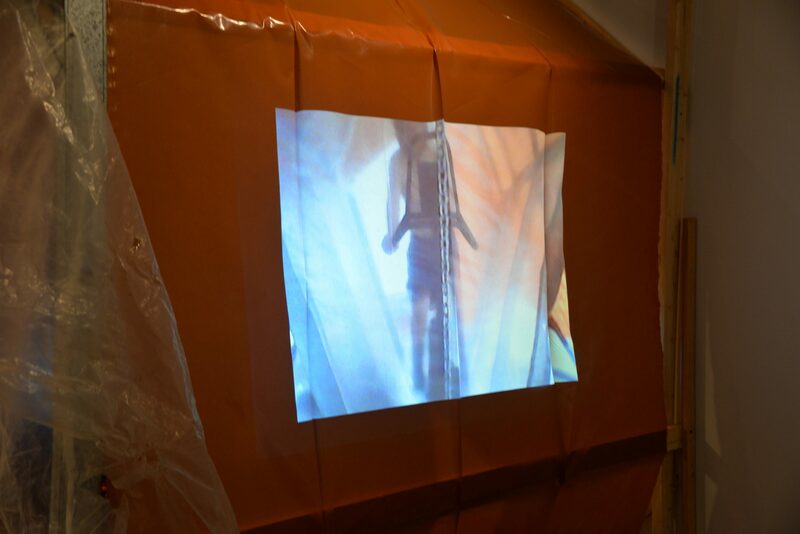 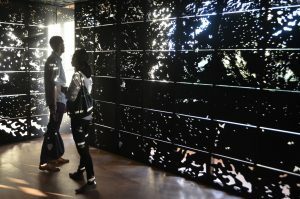 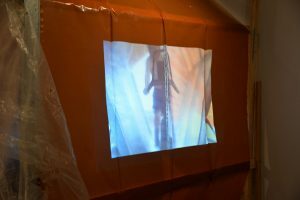 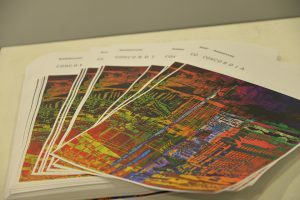 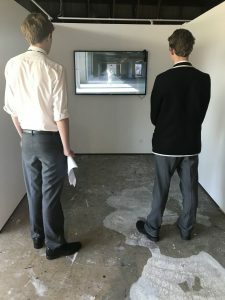 The exhibition presents photomedia, drawings, paintings, films, sculpture and installations by 31 students whose artworks deal with critiques of relationships, landscapes and ideologies. 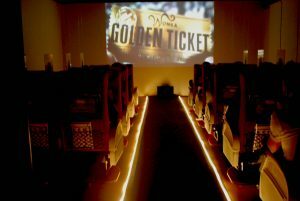 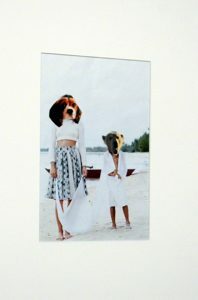 Displeasing the Masses: pop culture and resistance presents the work of five artists who take the vehicles of popular culture; the music video, digital design, the Hollywood movie and turn them against their nature, complicating the consumption of modes of gender, of national myths and Othered bodies. 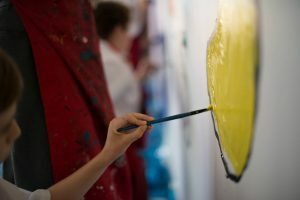 Year 11 Visual Arts students have taken cues from, 2018 Artist in Residence, James Drinkwater’s feverish art practice. 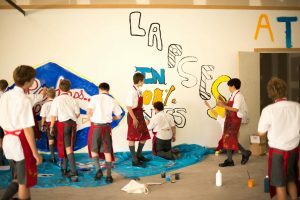 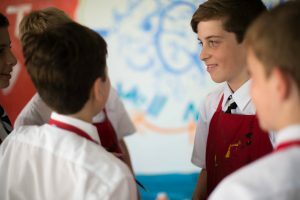 Guided by their teachers Mr Ian McPherson and Mr Philip Wilson the boys have taken prodigious steps in their thinking and painting. 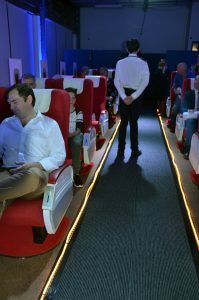 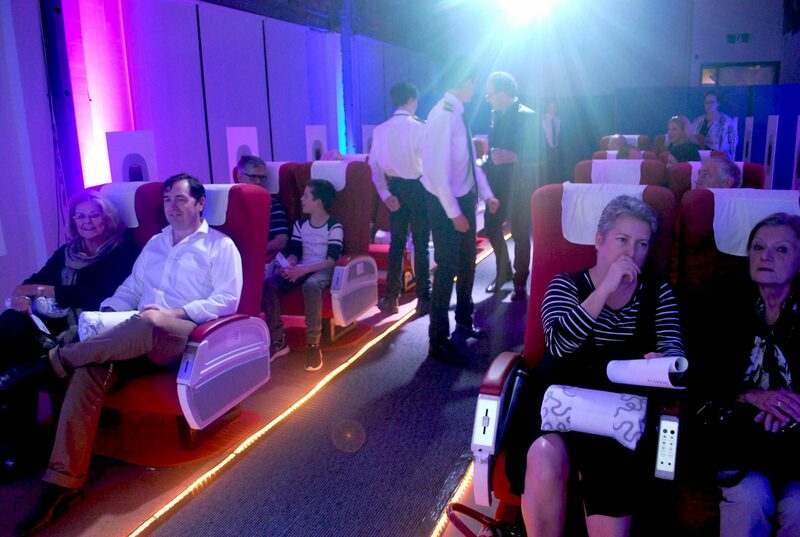 As the early family album has become a thing of the past and been replaced by a digital one, young people today have little knowledge of its value as photographic record of family and friends , nor the pleasure of looking at archival prints. 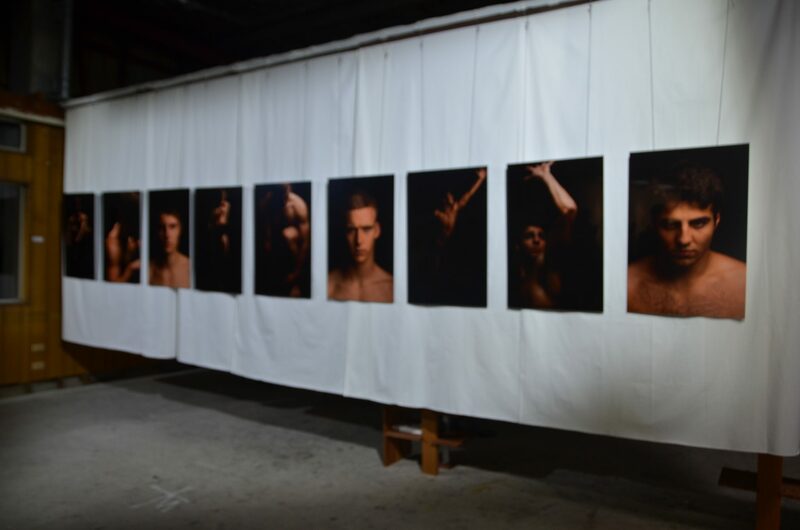 I want to restore the old photographic album containing old studio and staged portraits so that students develop an appreciation of its importance as a cultural object and as a record of one’s history. 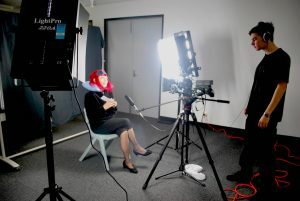 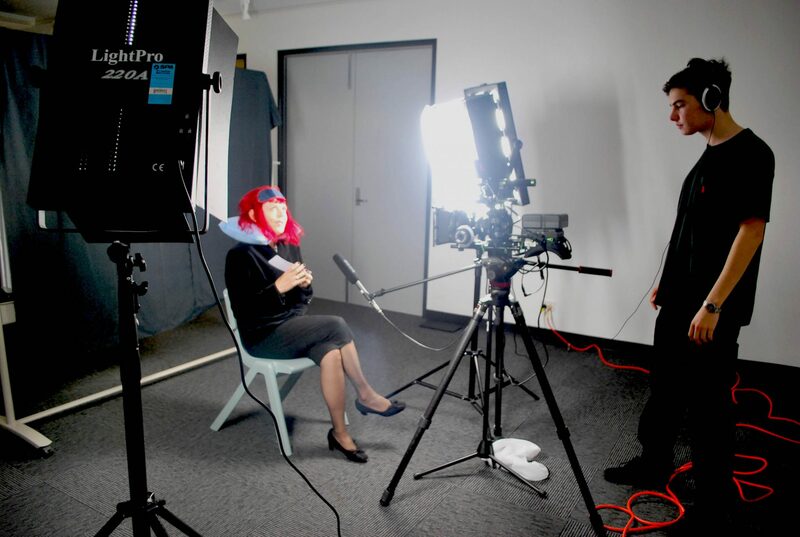 I hope they will reflect on the way they appear through the performing and reenacting of these historical studio portraits and see the resemblance and differences that define them and to those of their ancestors. 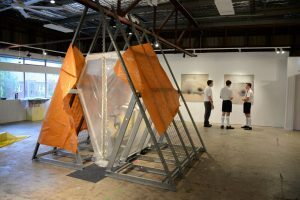 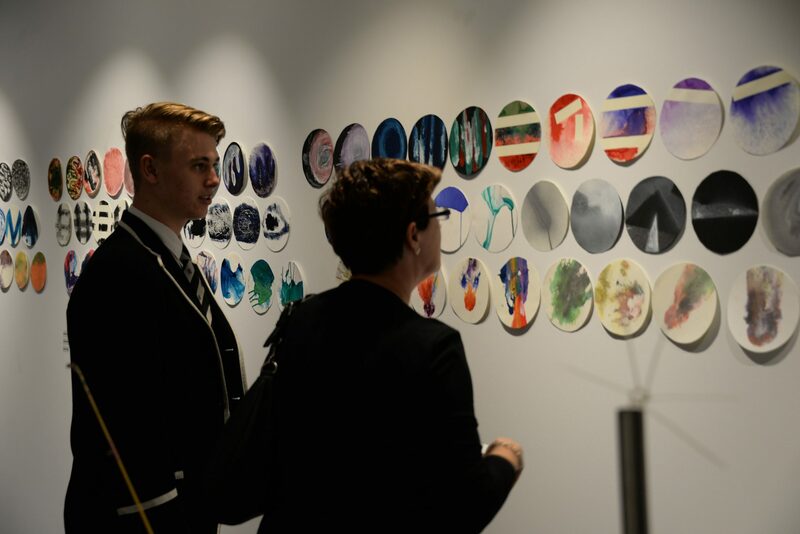 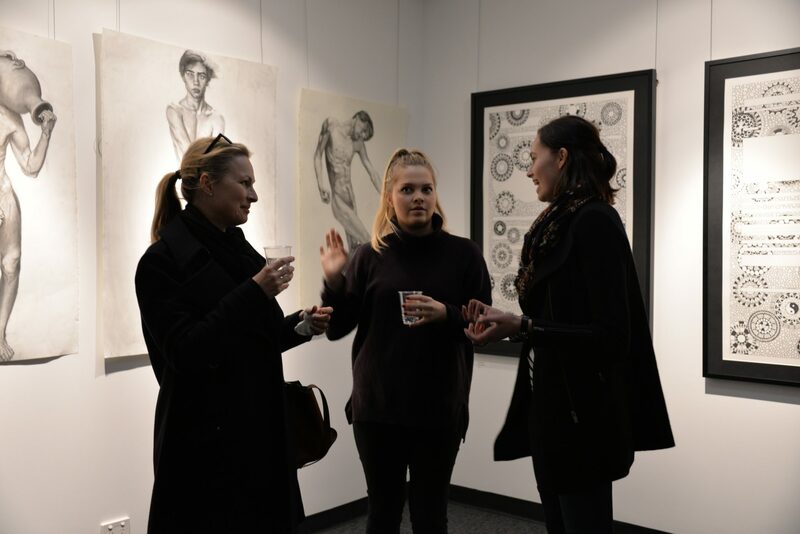 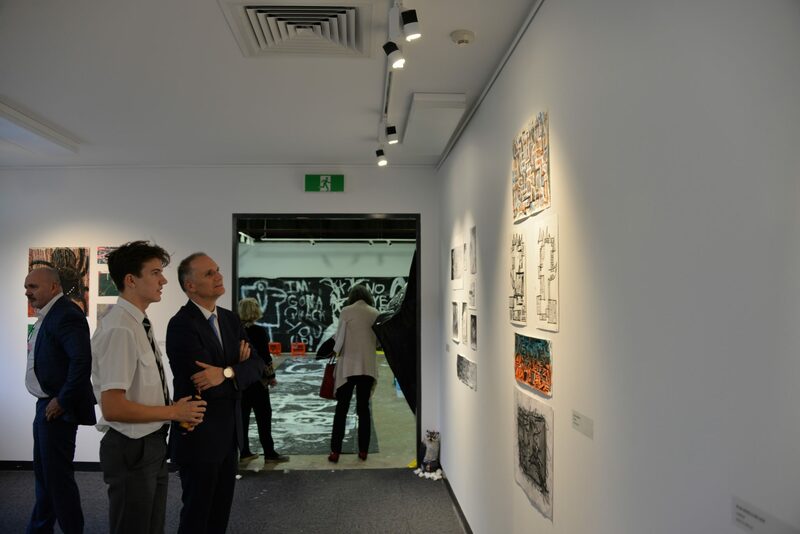 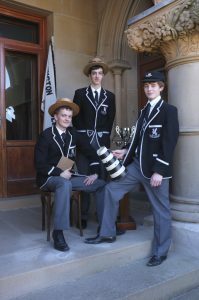 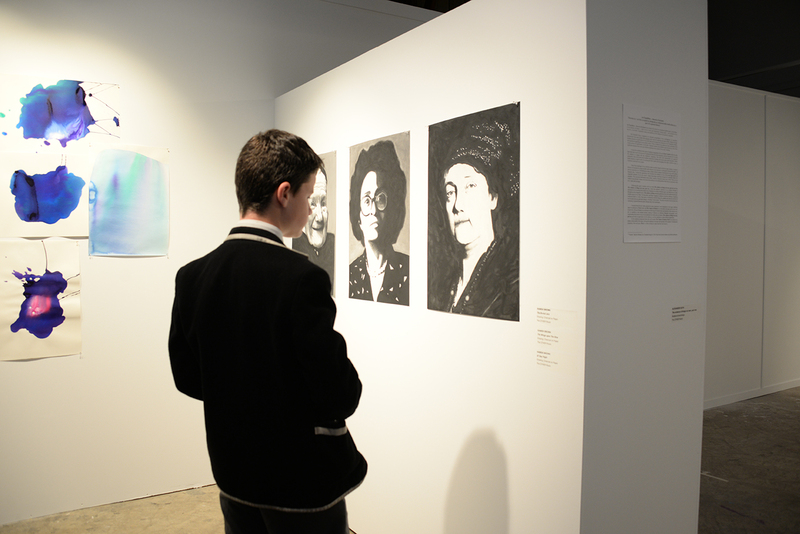 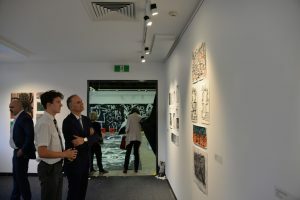 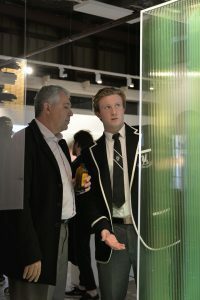 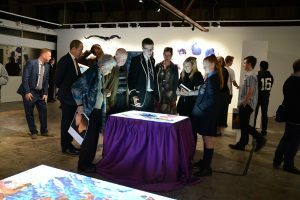 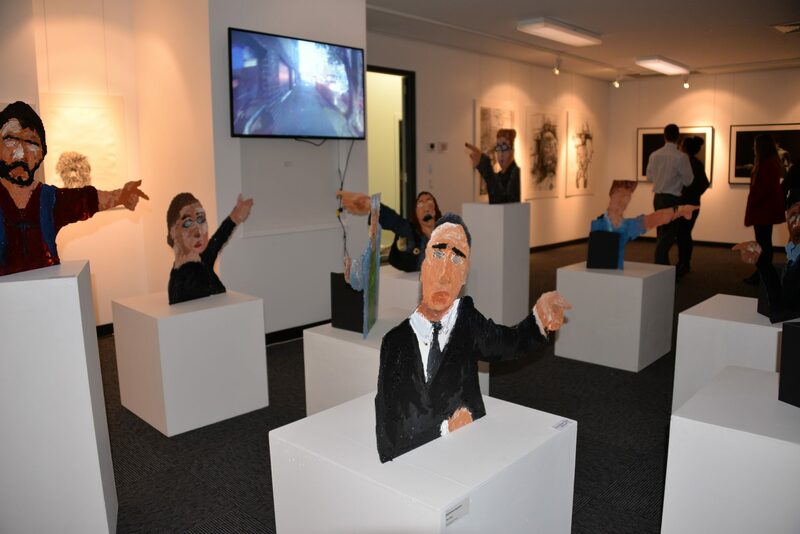 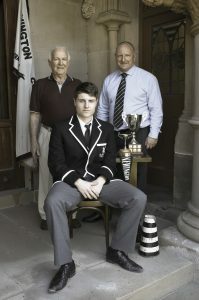 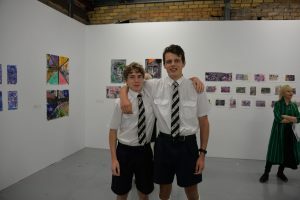 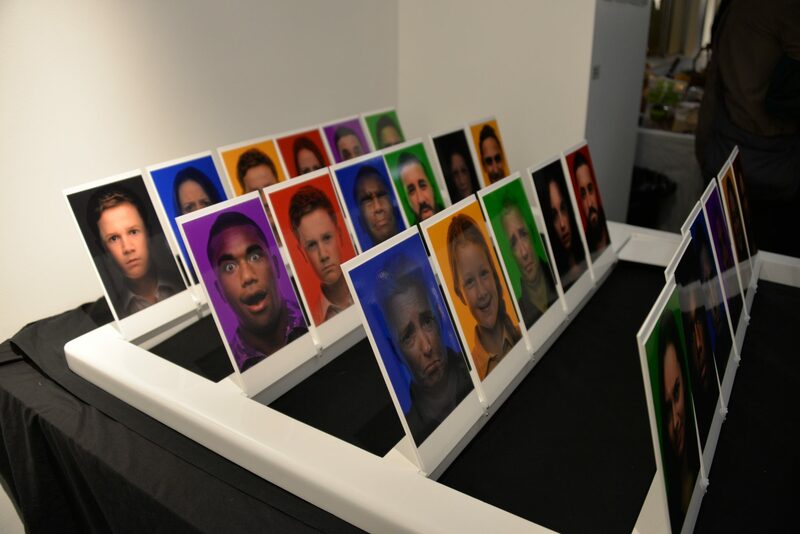 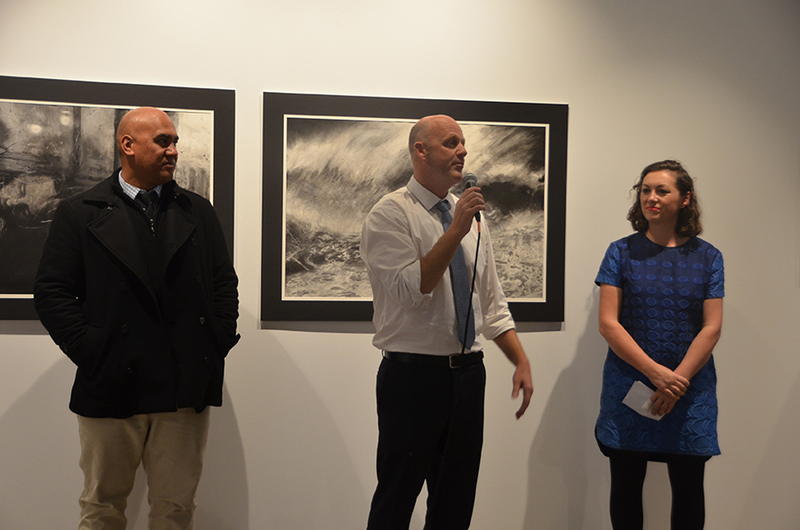 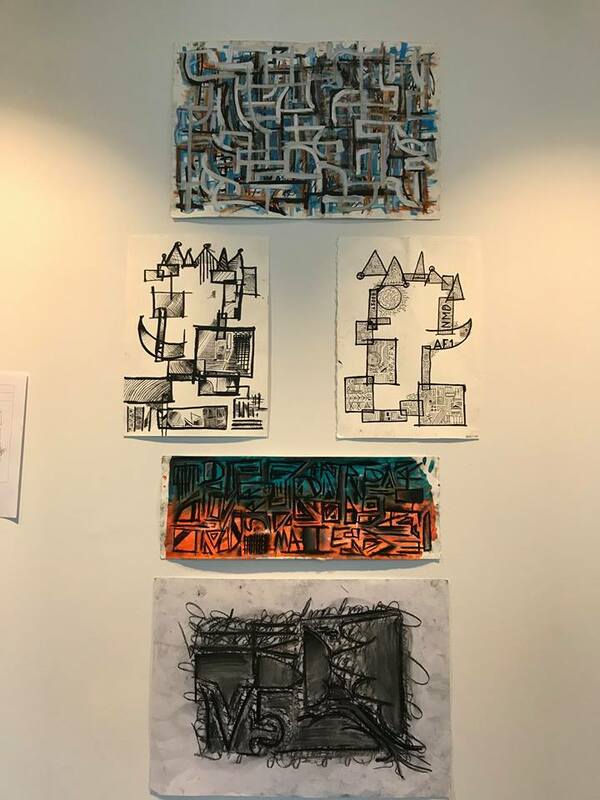 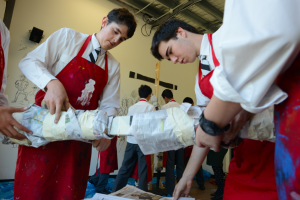 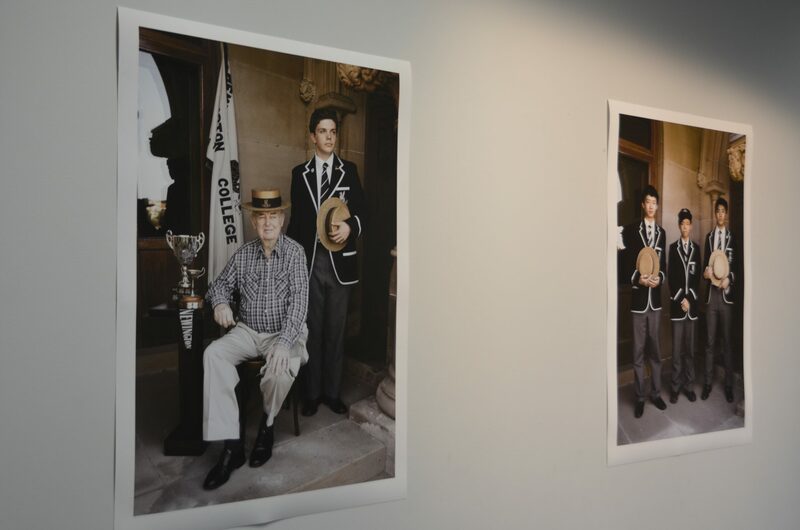 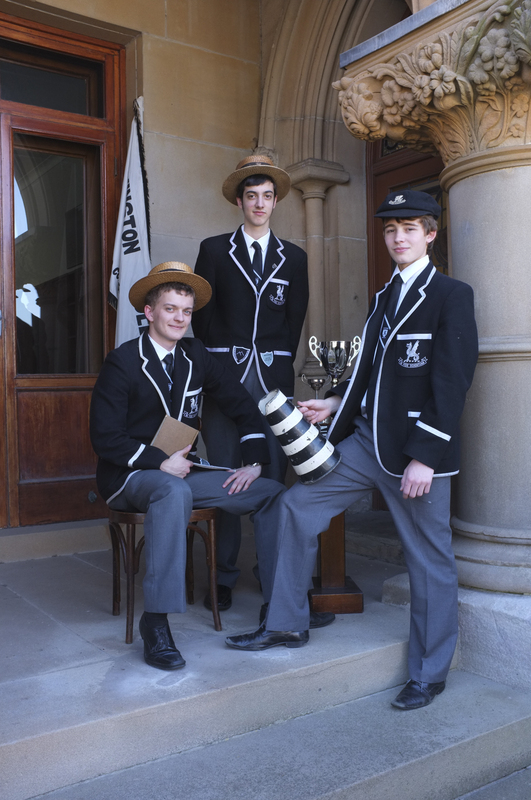 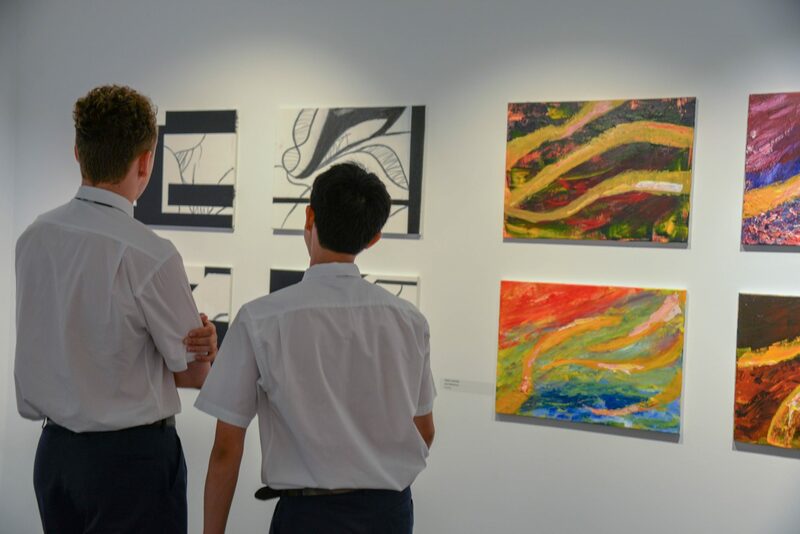 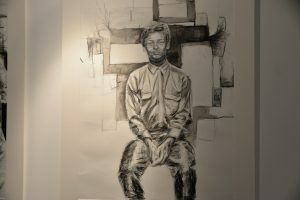 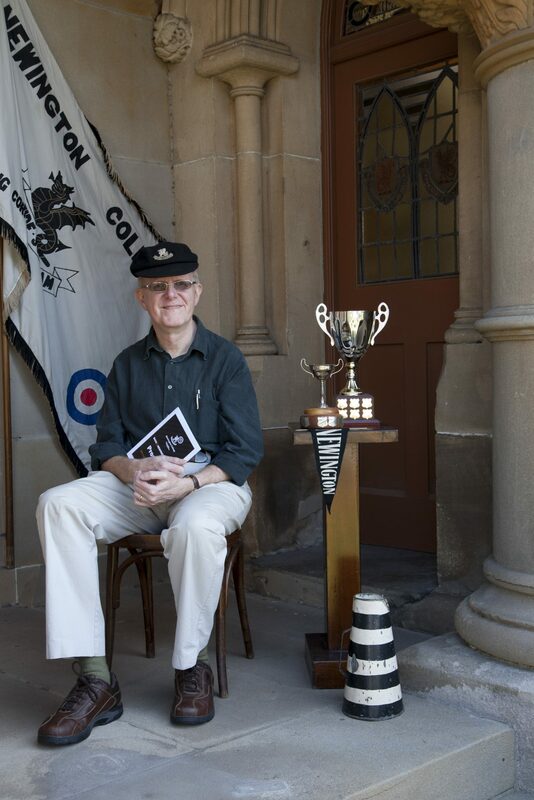 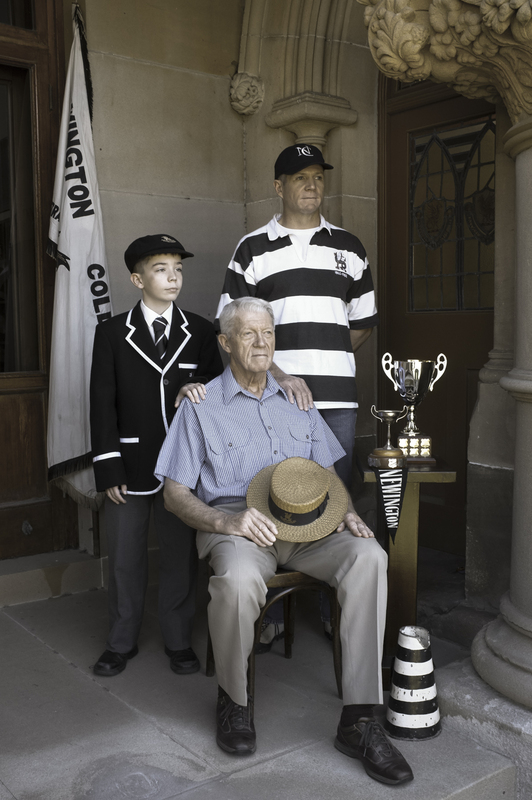 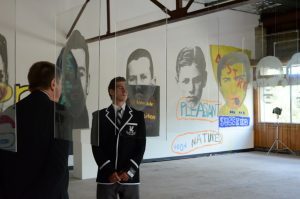 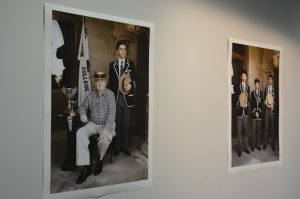 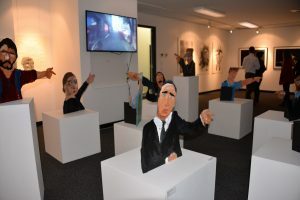 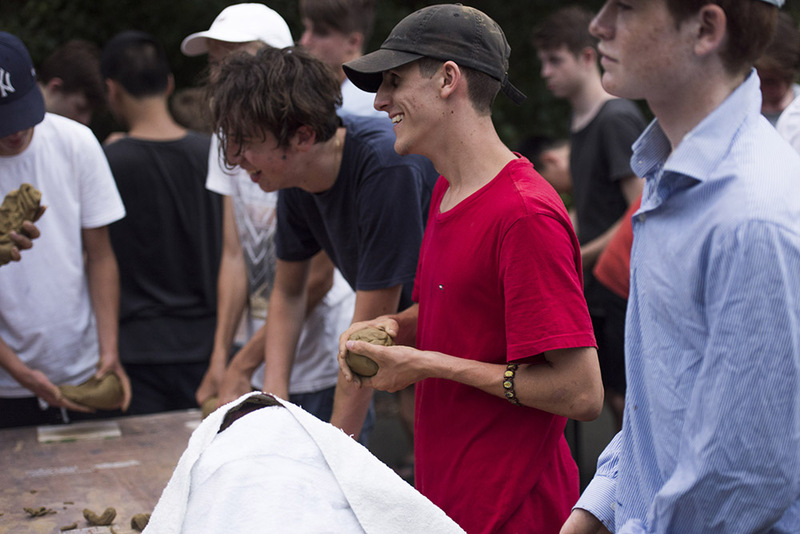 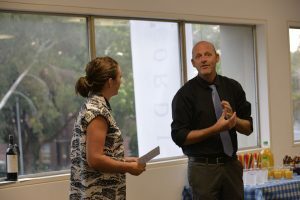 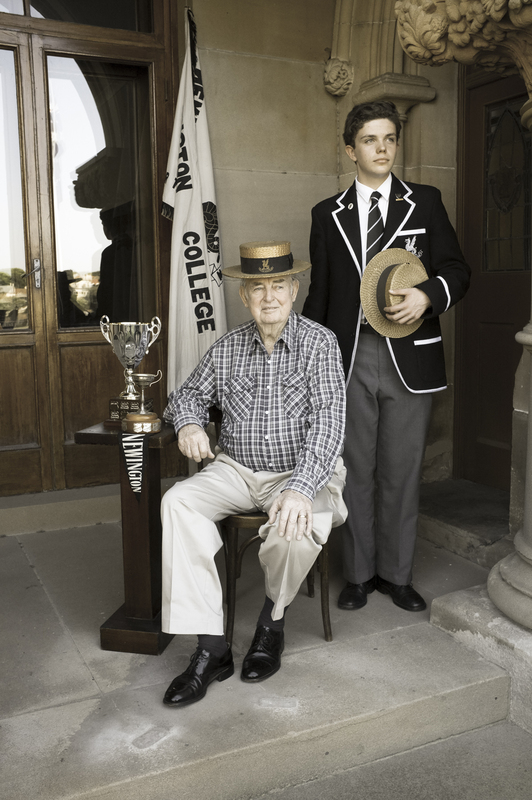 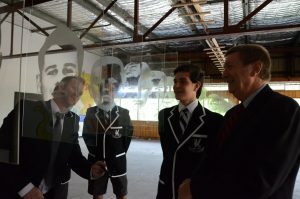 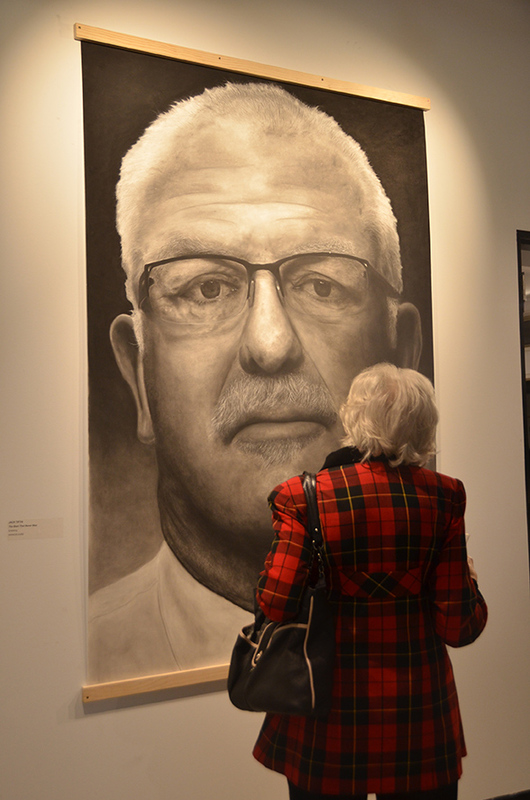 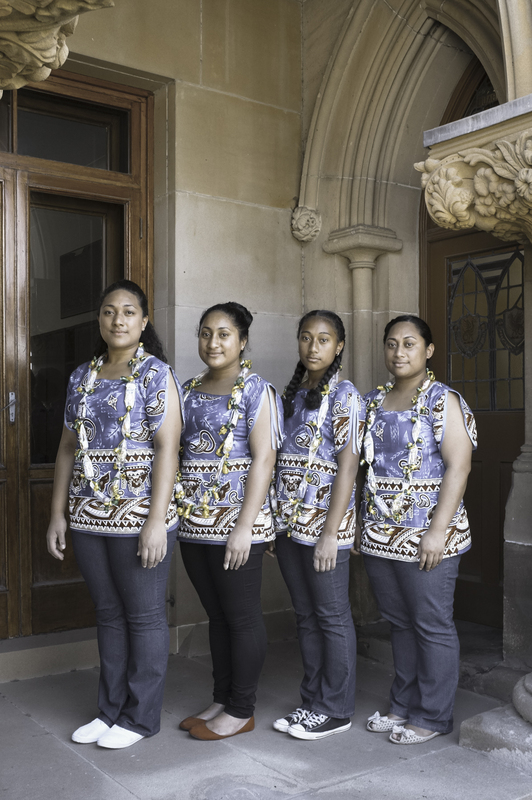 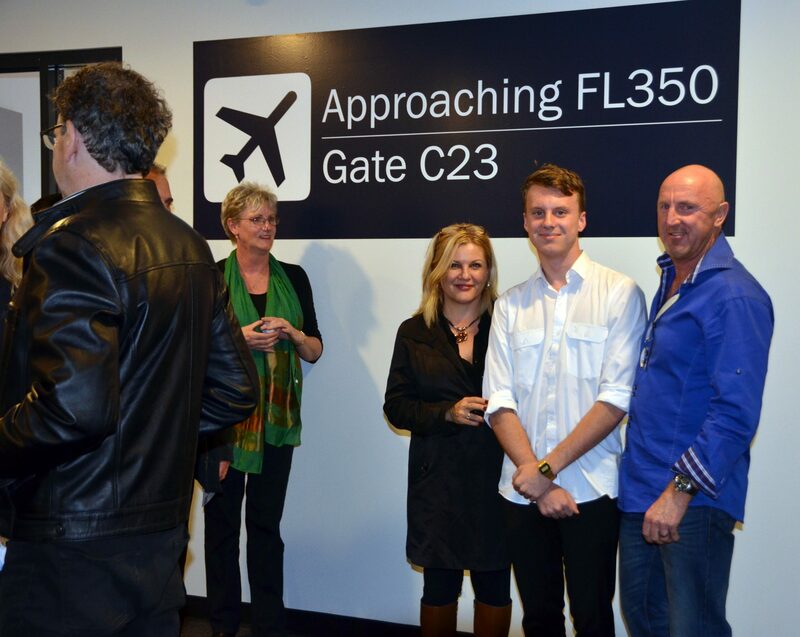 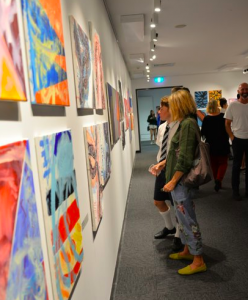 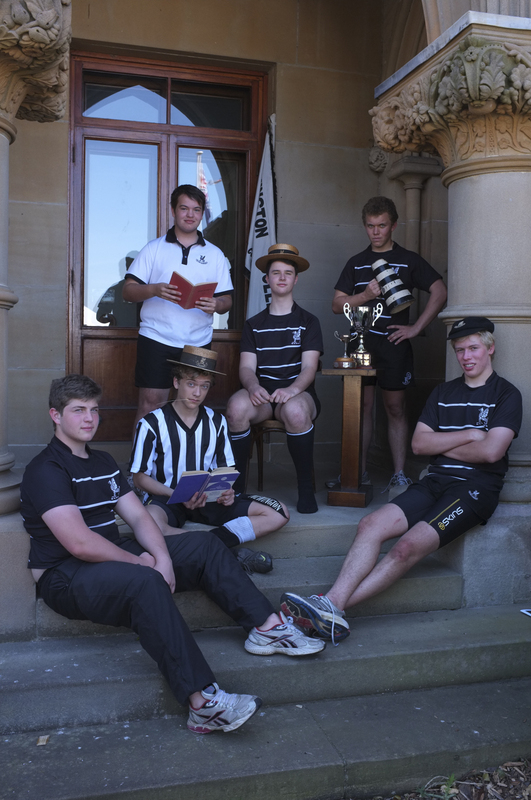 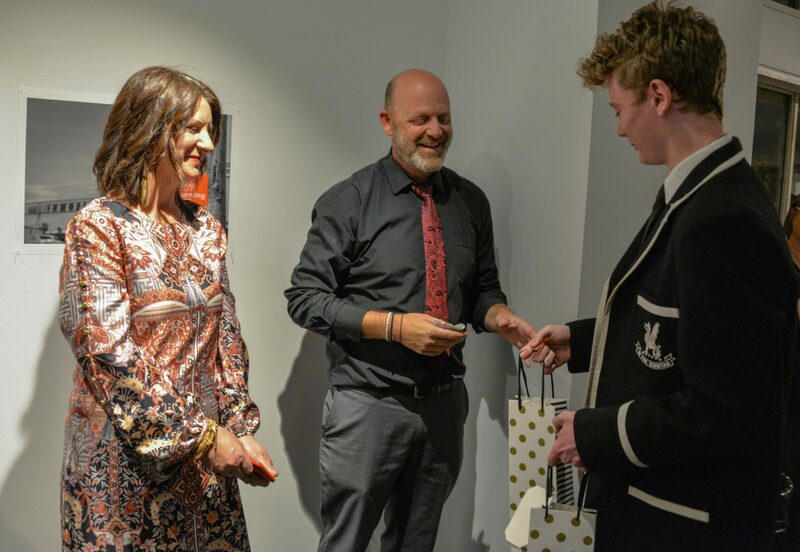 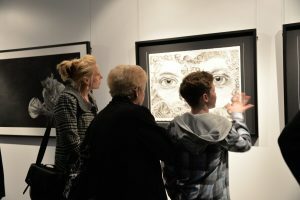 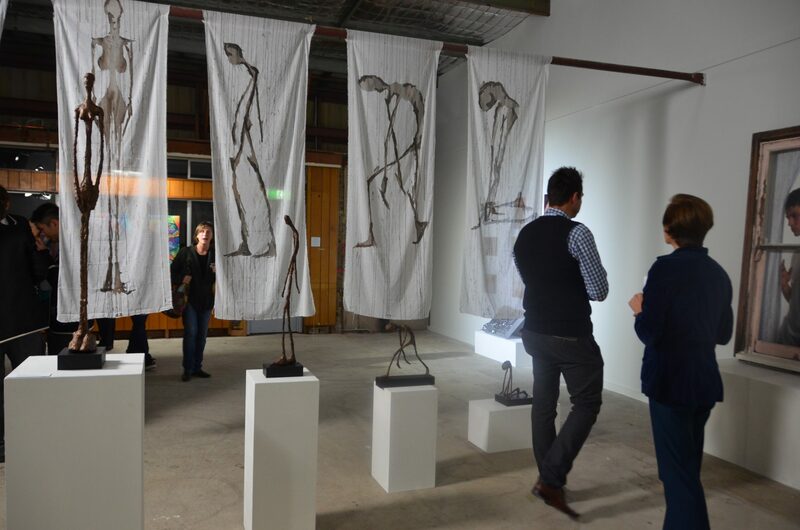 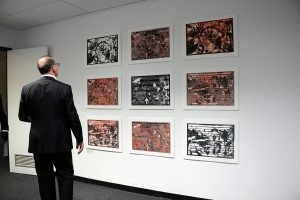 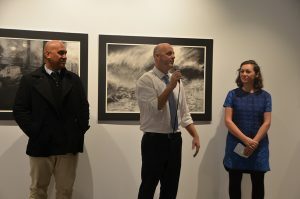 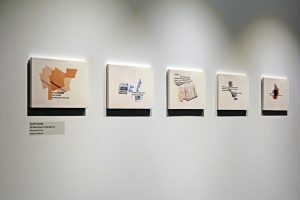 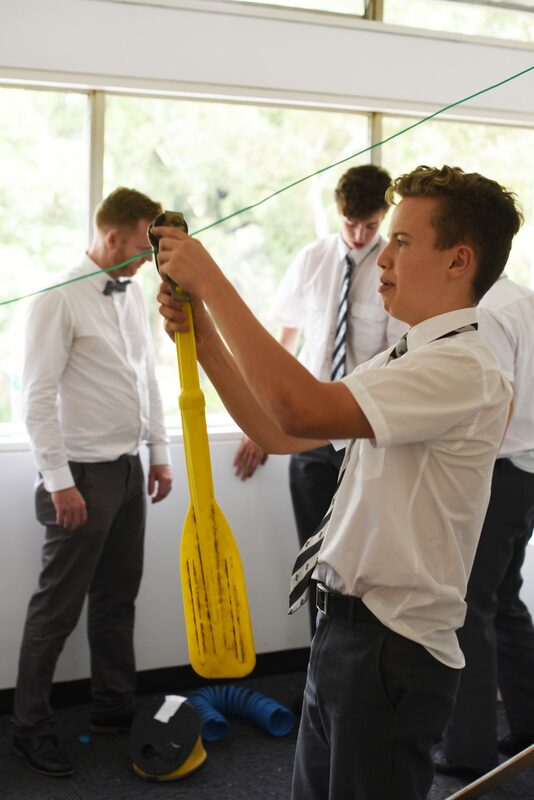 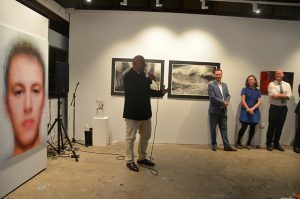 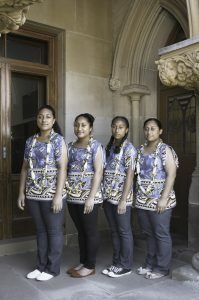 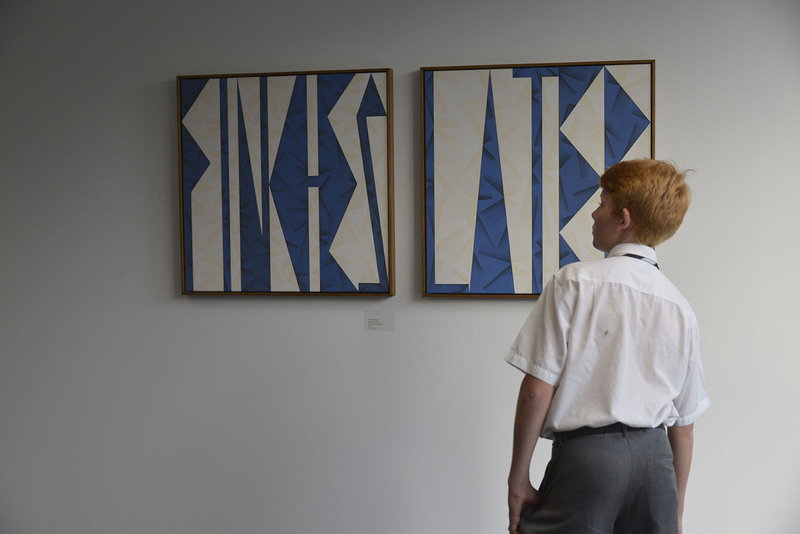 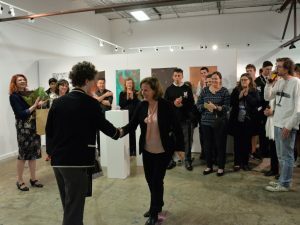 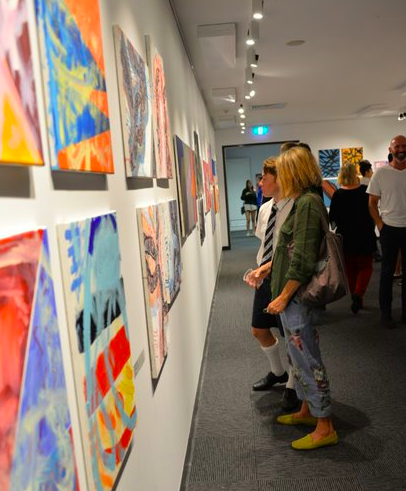 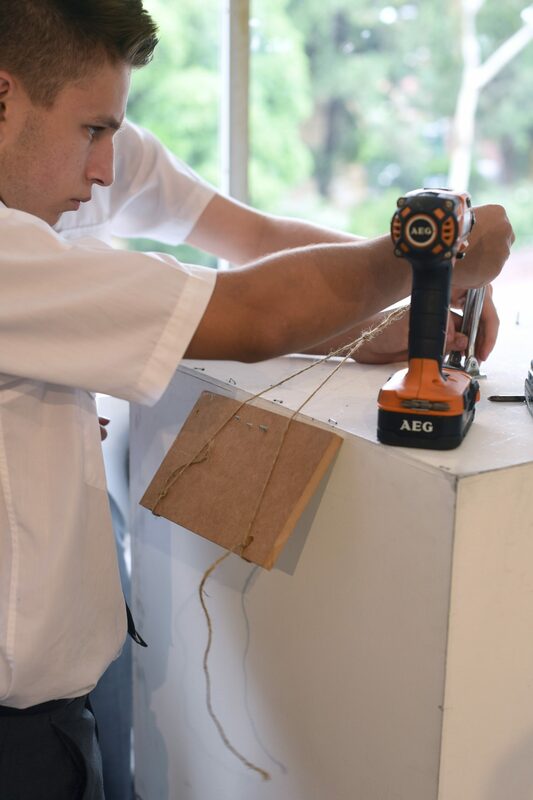 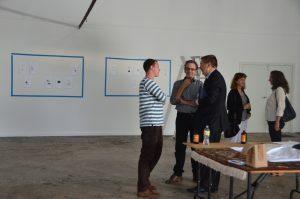 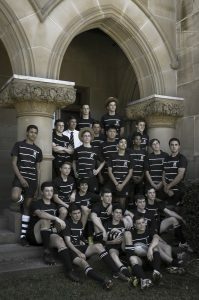 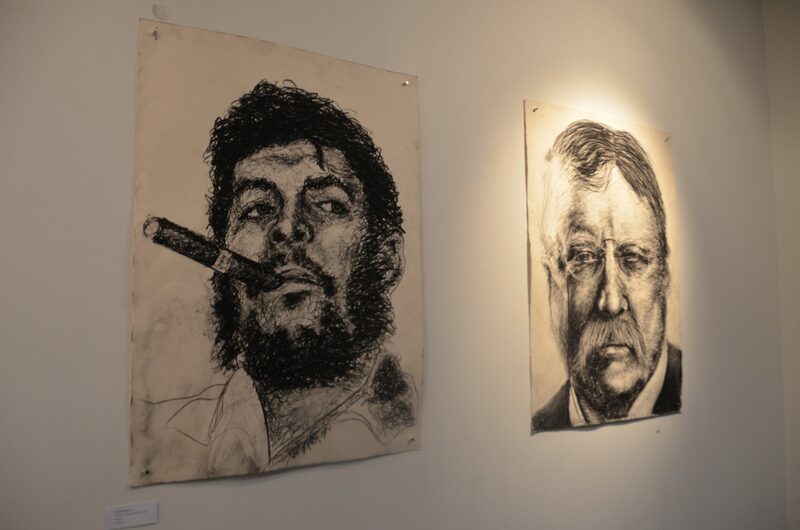 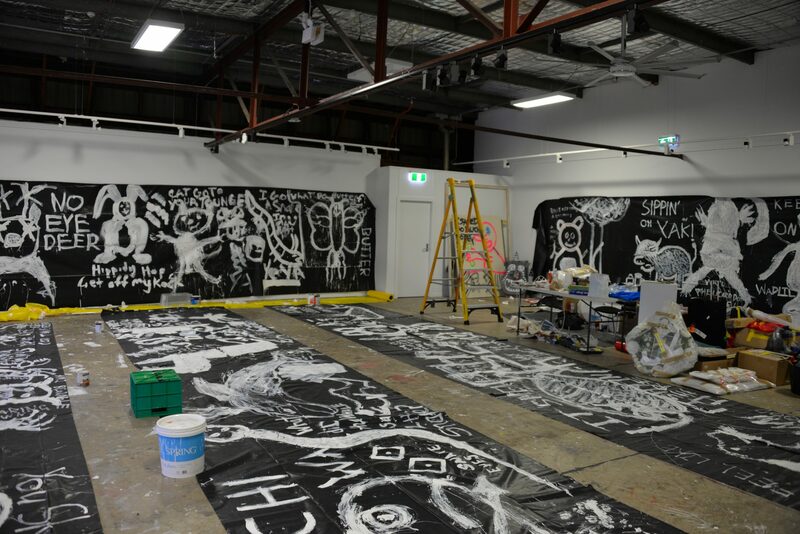 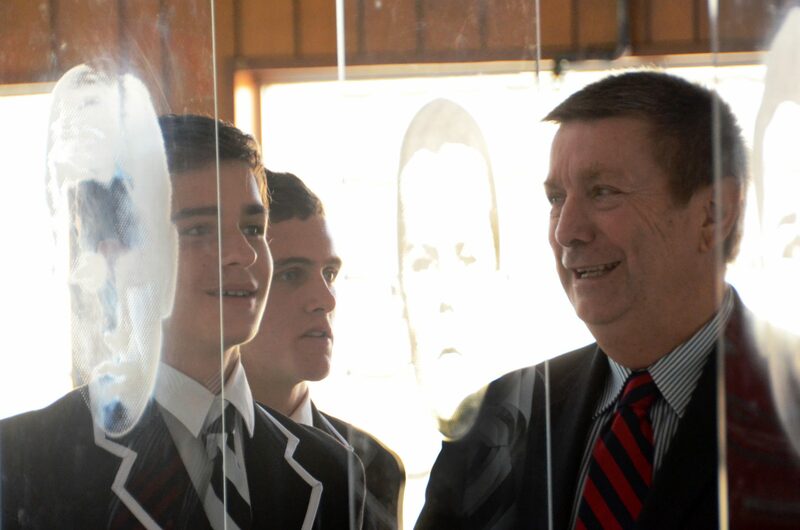 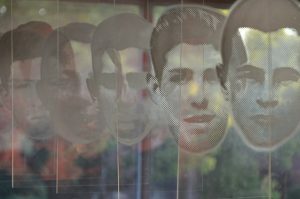 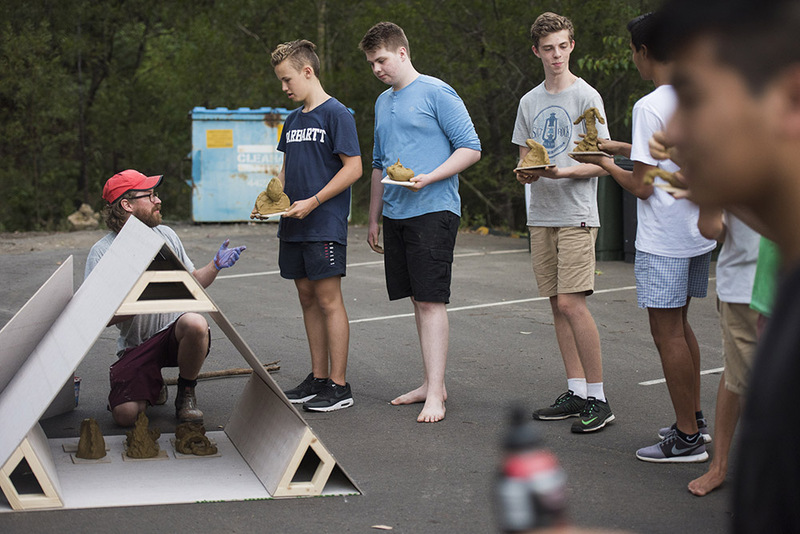 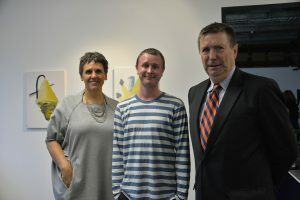 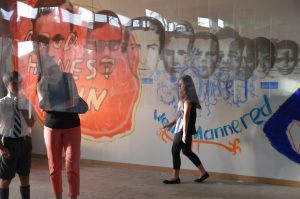 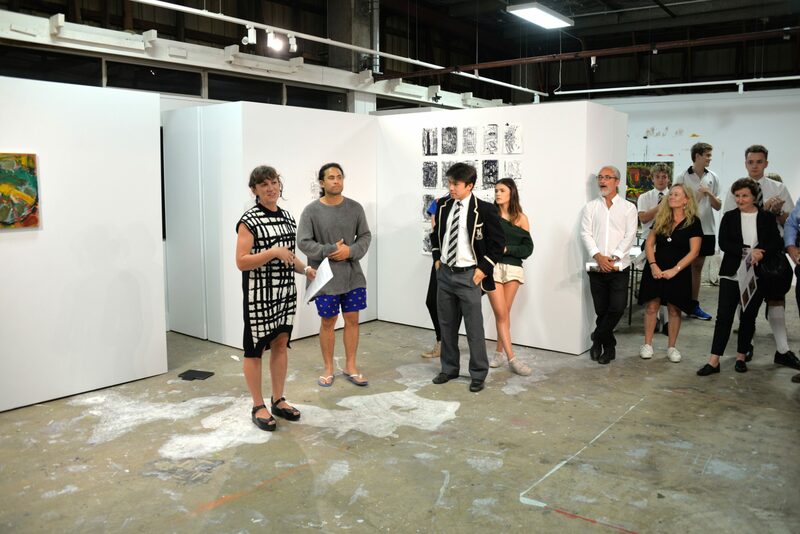 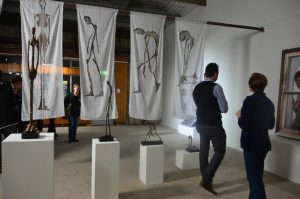 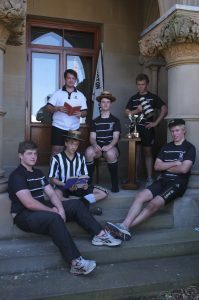 Now Then Again was an exhibition of works by students in collaboration with artist Tom Polo, architect Andrew Burns and teacher Andrew Pawley to celebrate Newington College’s 150 year history. 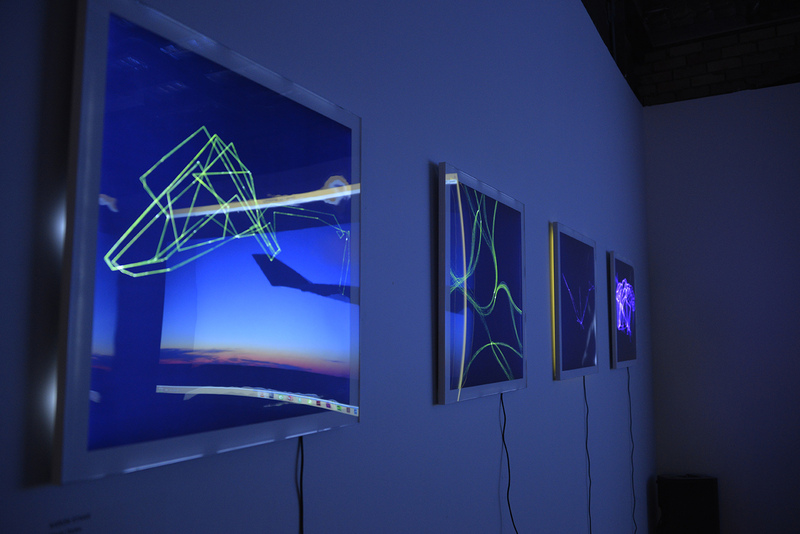 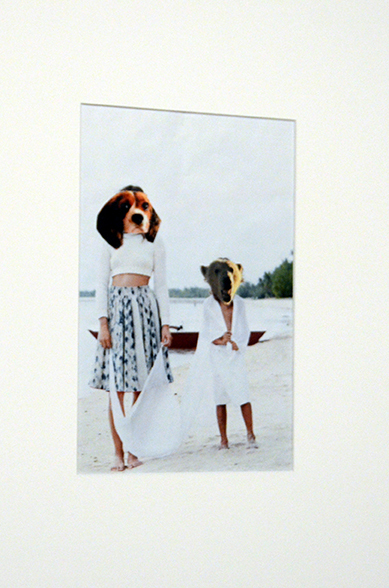 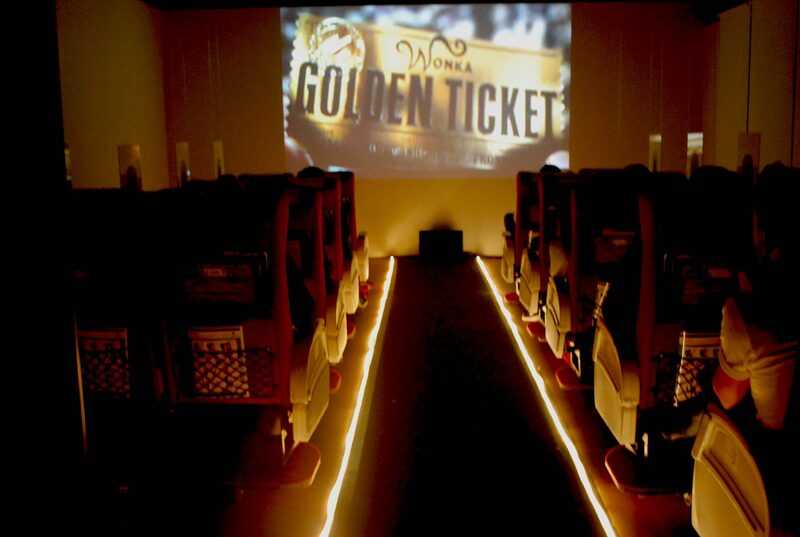 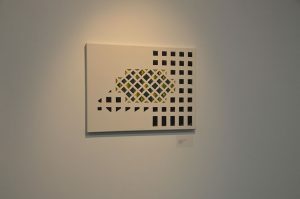 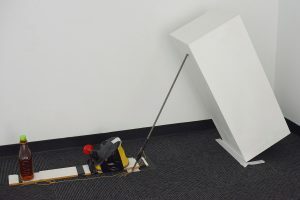 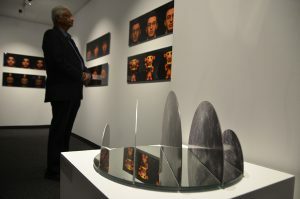 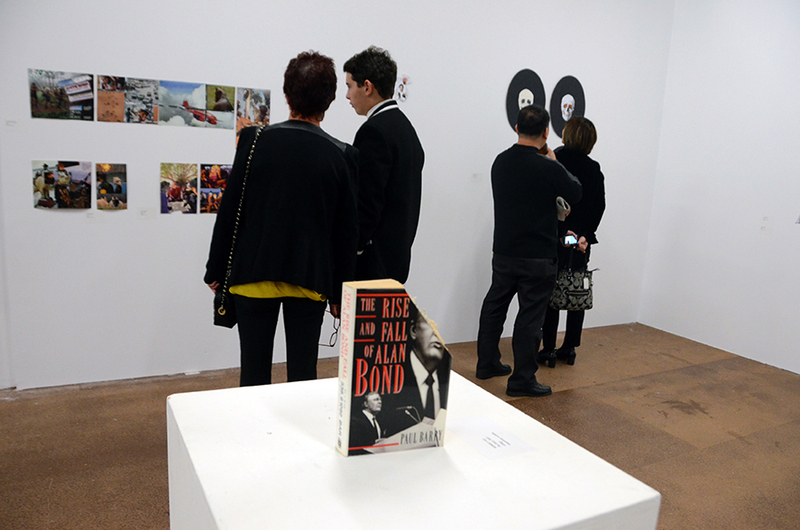 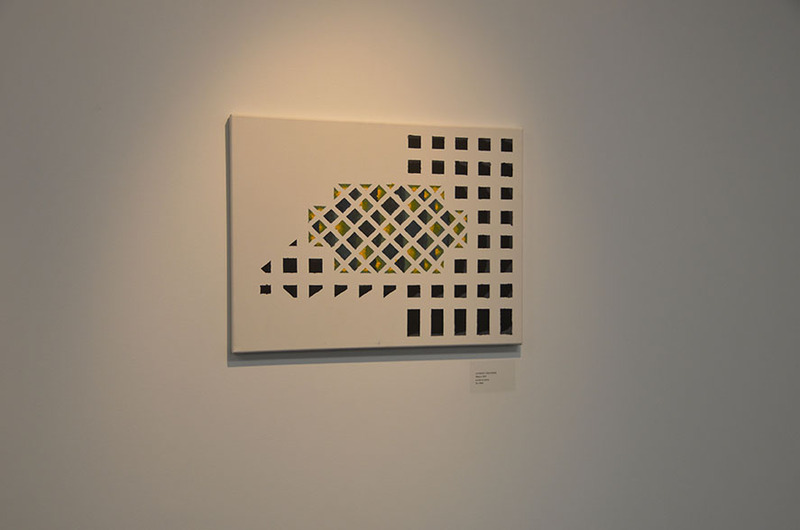 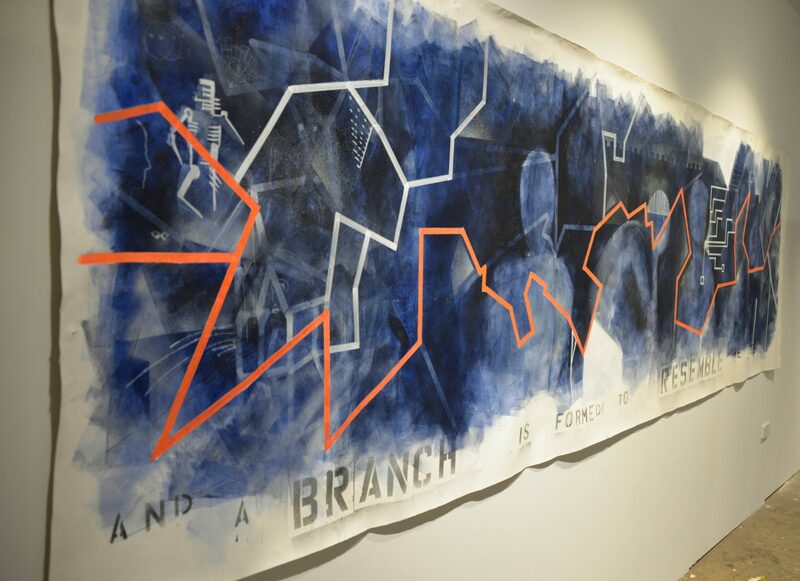 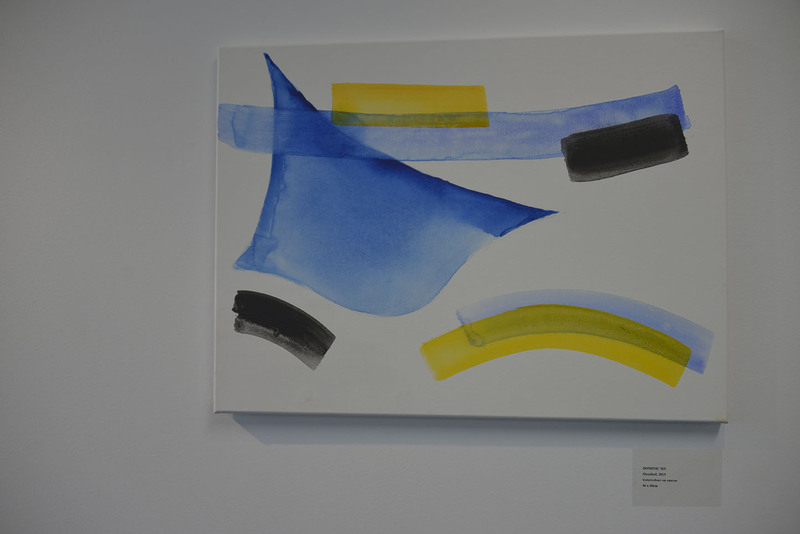 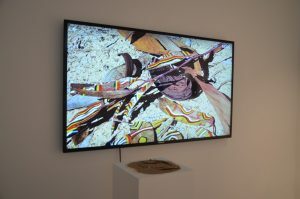 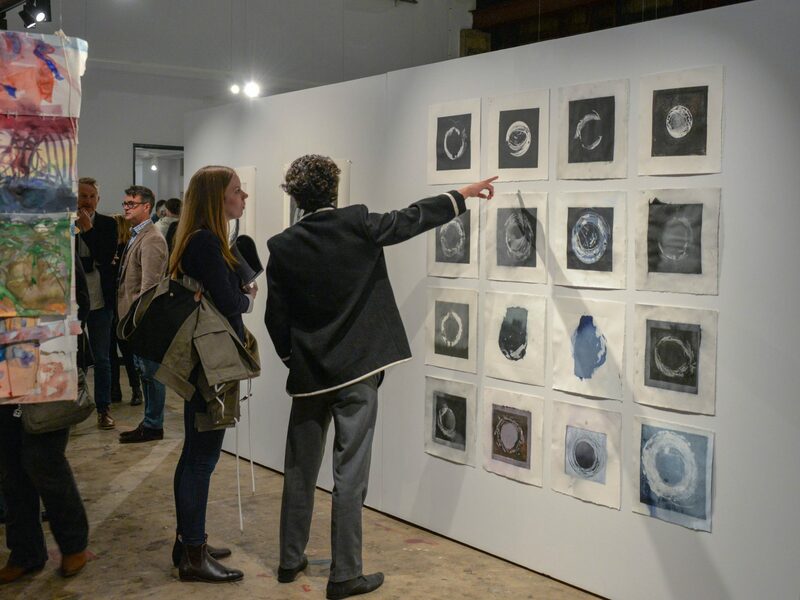 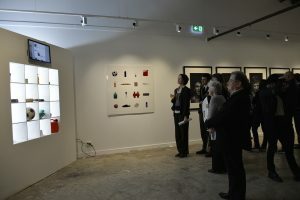 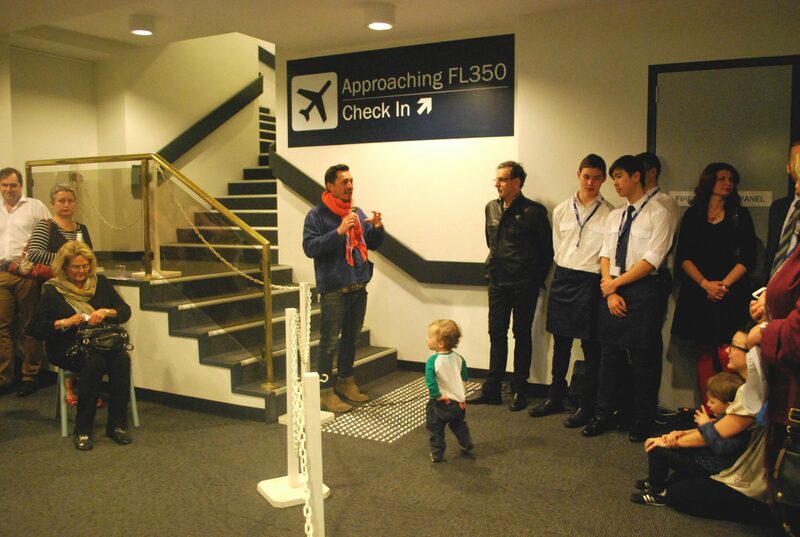 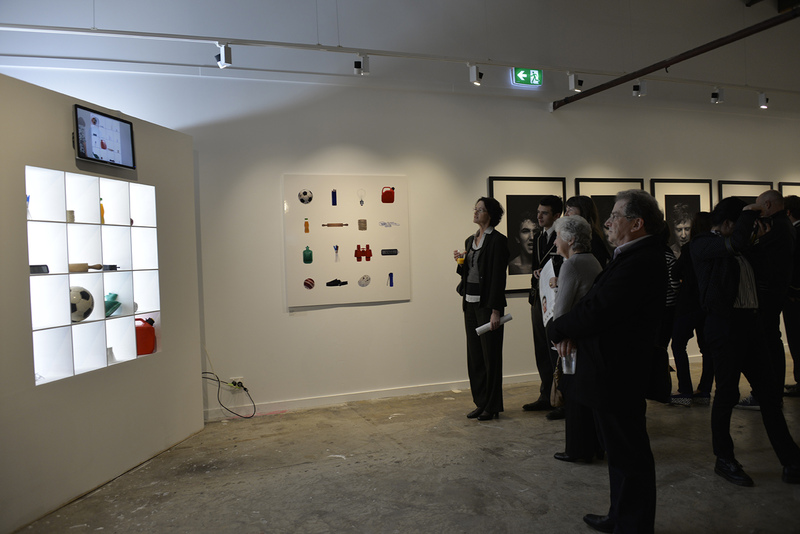 This exhibition was curated by Hannah Chapman and opened on Tuesday 5 March 2013. 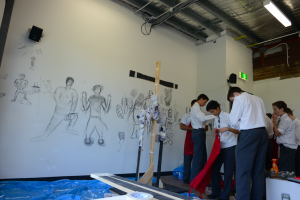 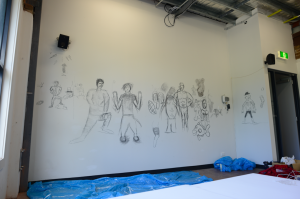 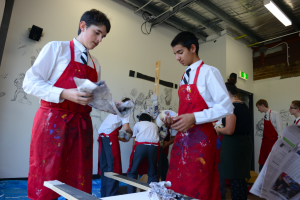 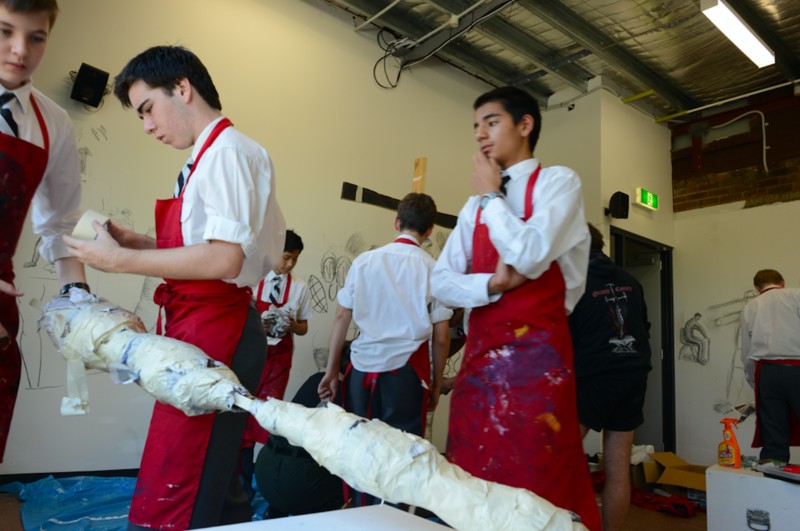 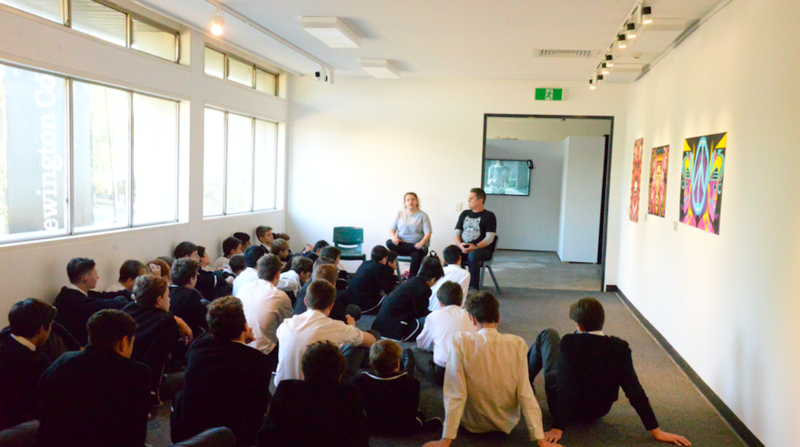 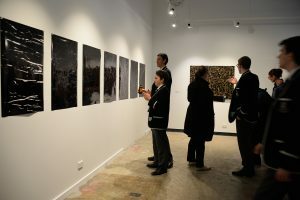 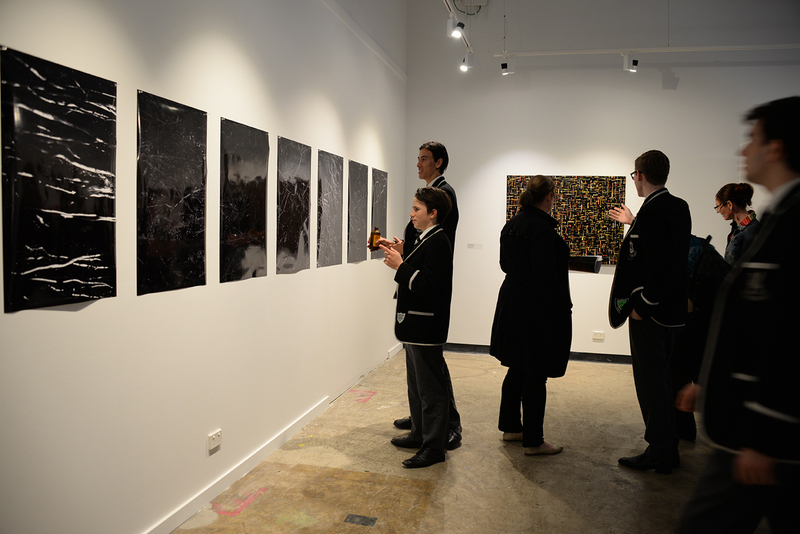 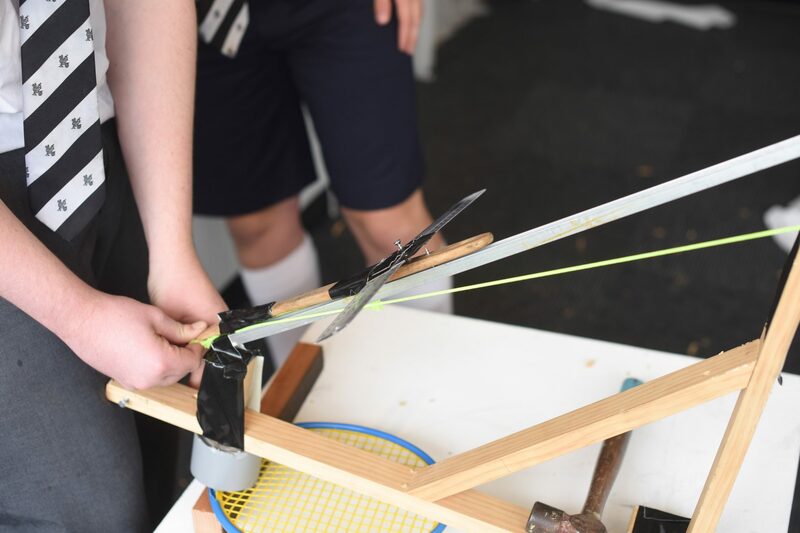 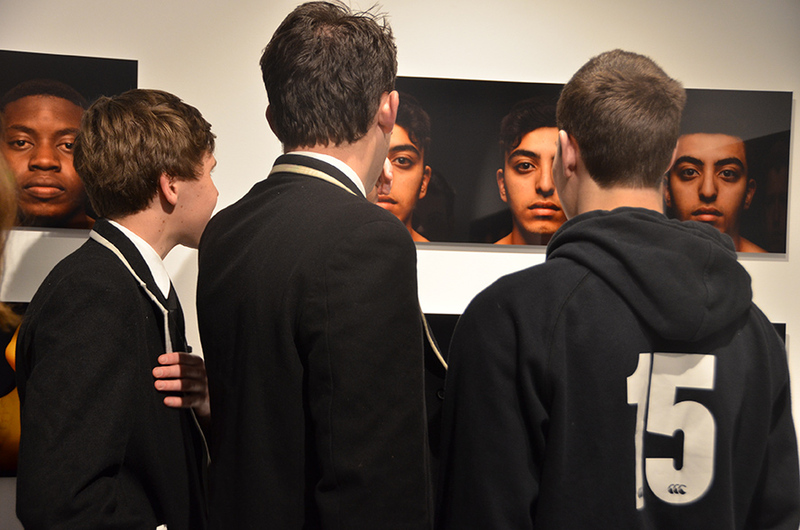 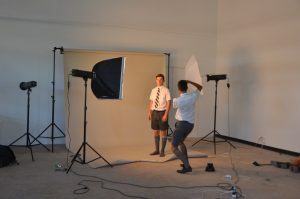 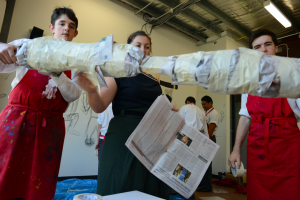 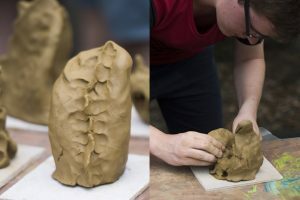 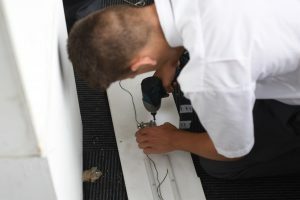 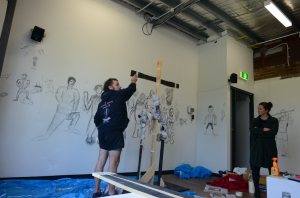 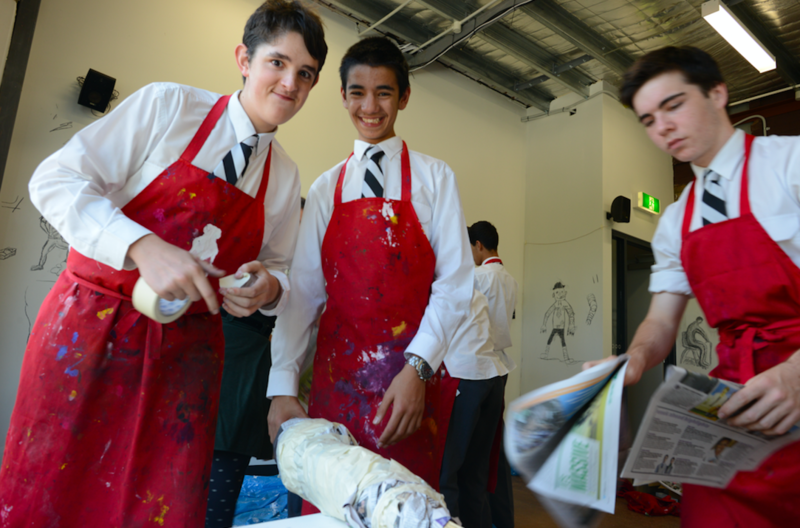 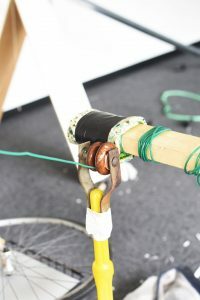 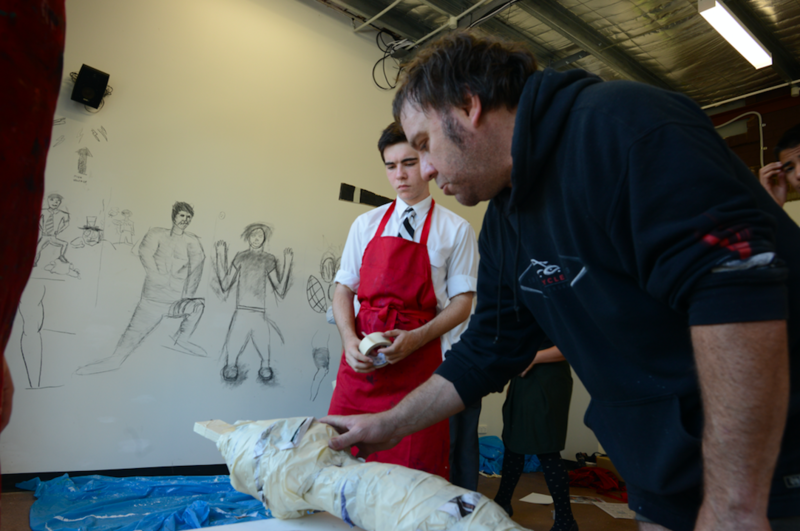 In the lead up to the Tim Kyle exhibition, Year 9 Visual Arts students completed a number of workshops with the artist. A time-lapse camera was set up in studio and here is a showcase of the boys and the artist at work. 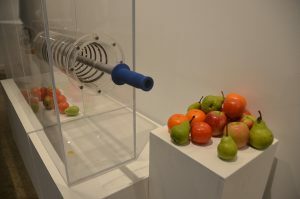 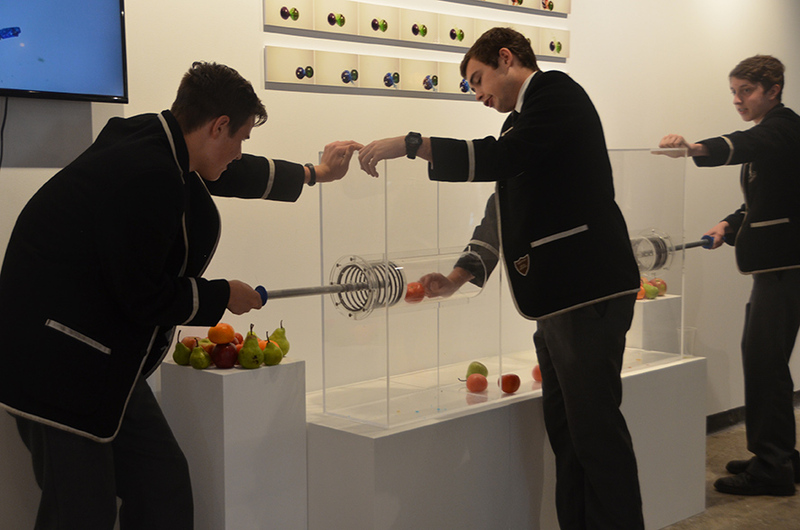 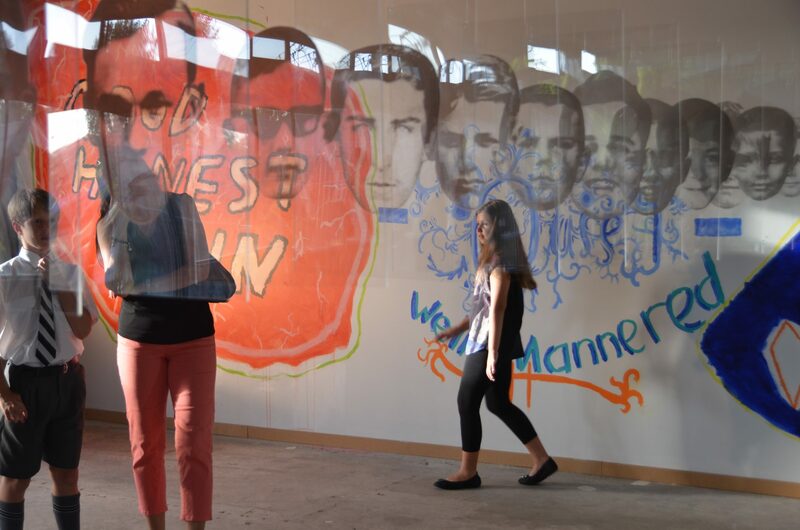 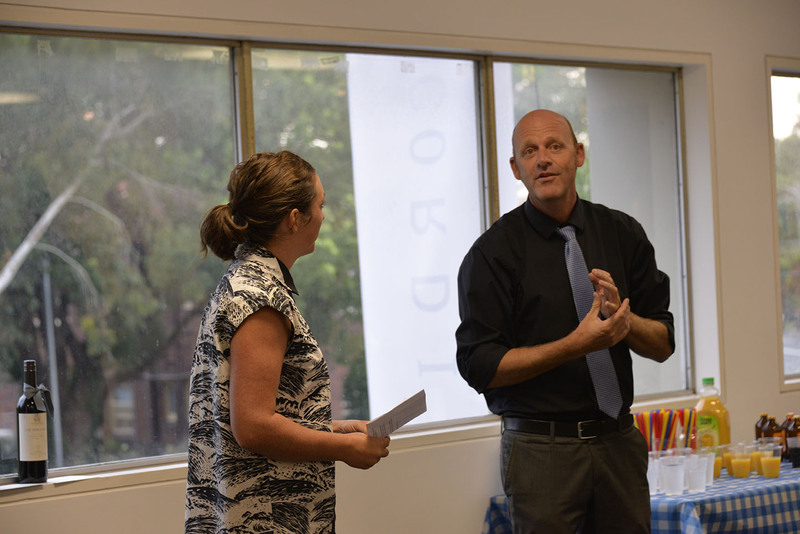 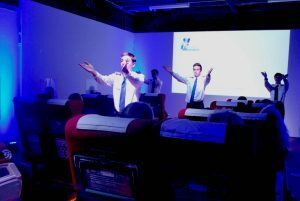 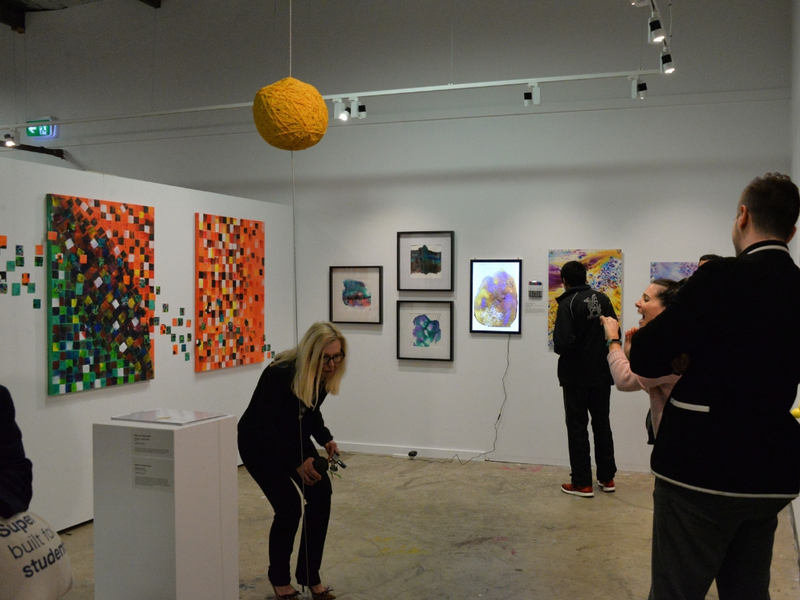 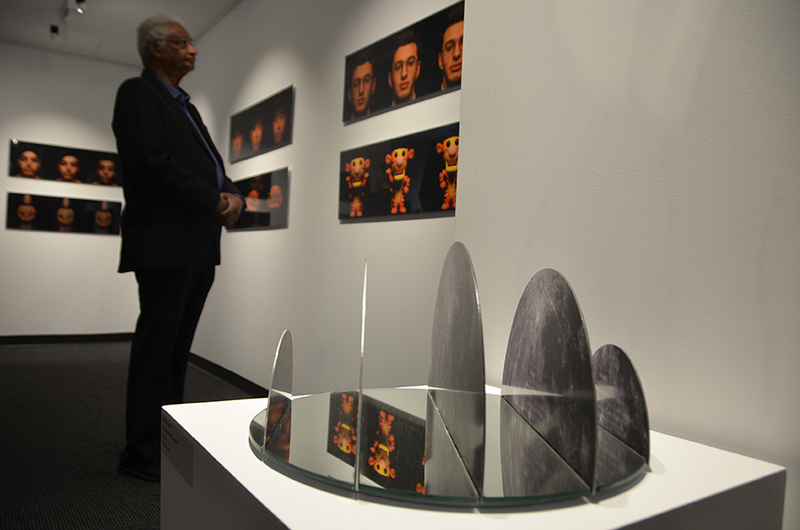 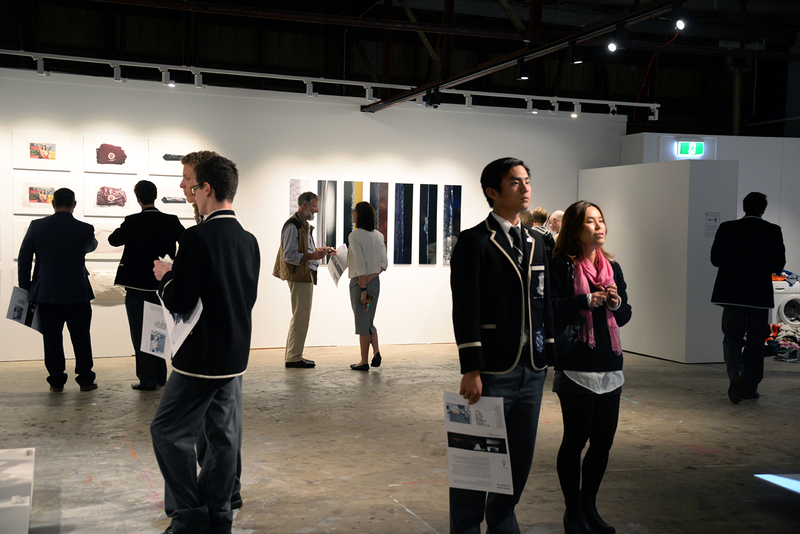 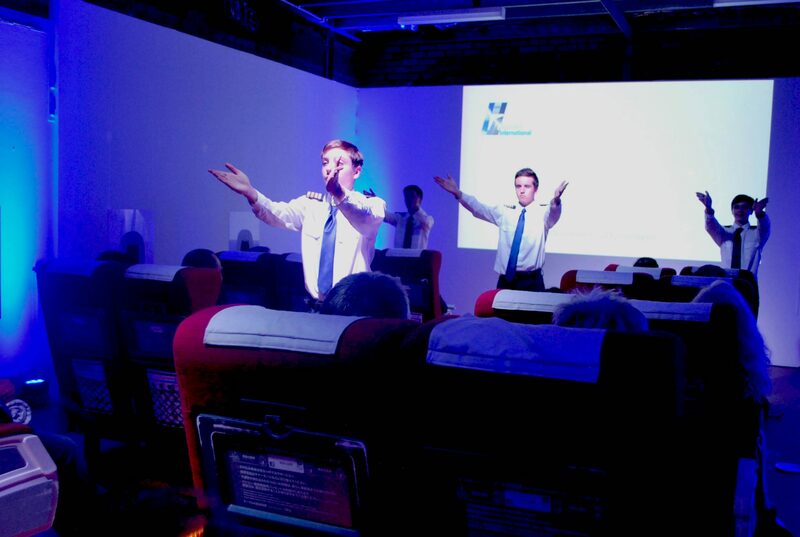 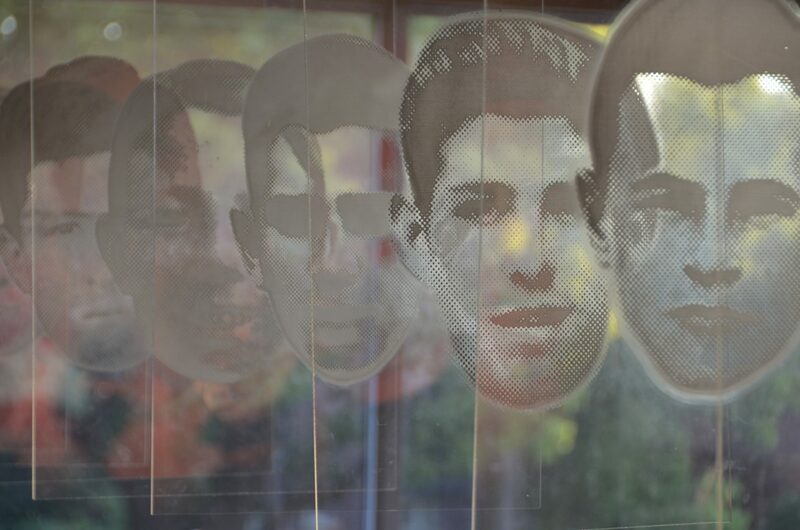 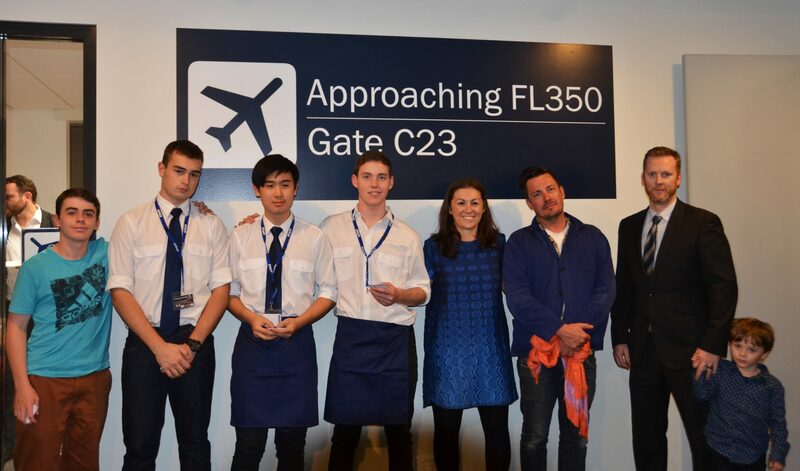 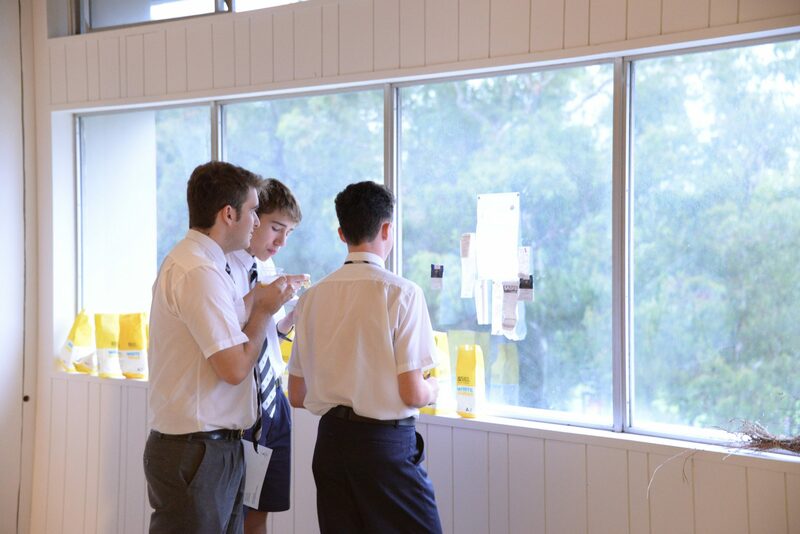 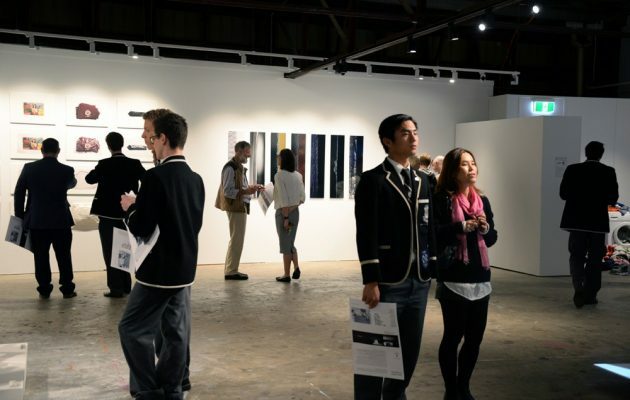 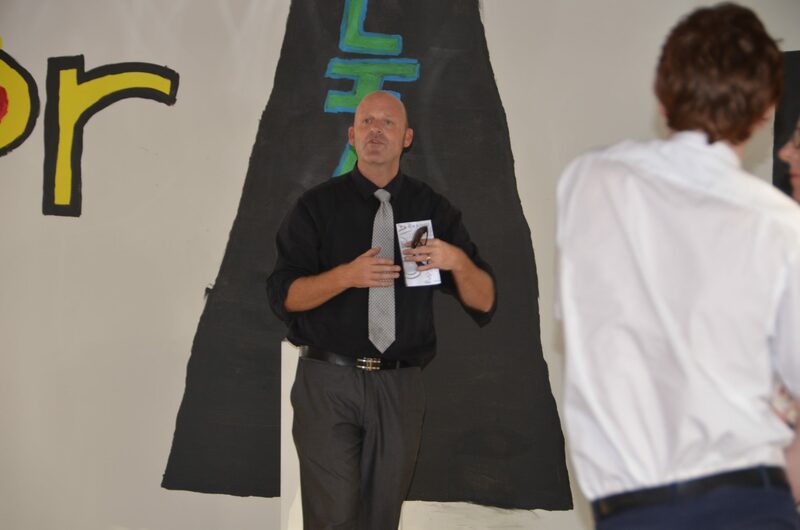 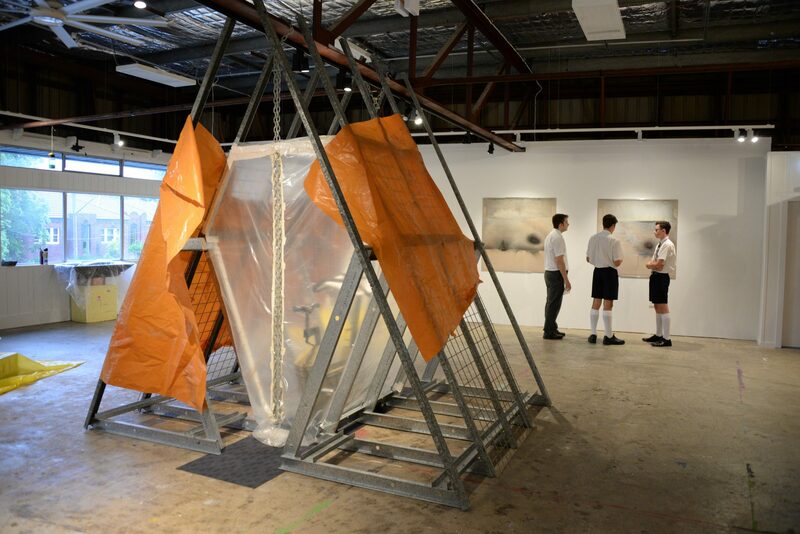 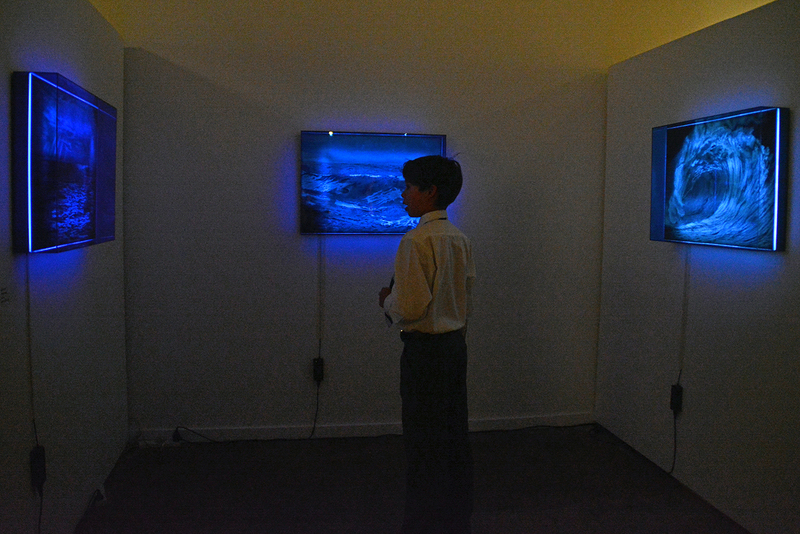 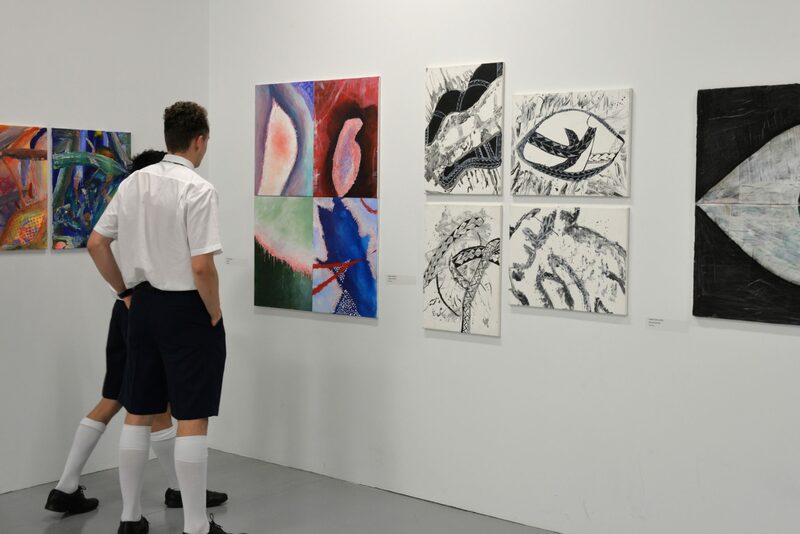 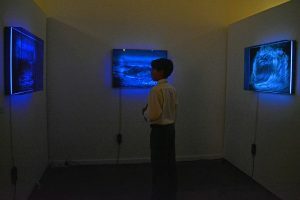 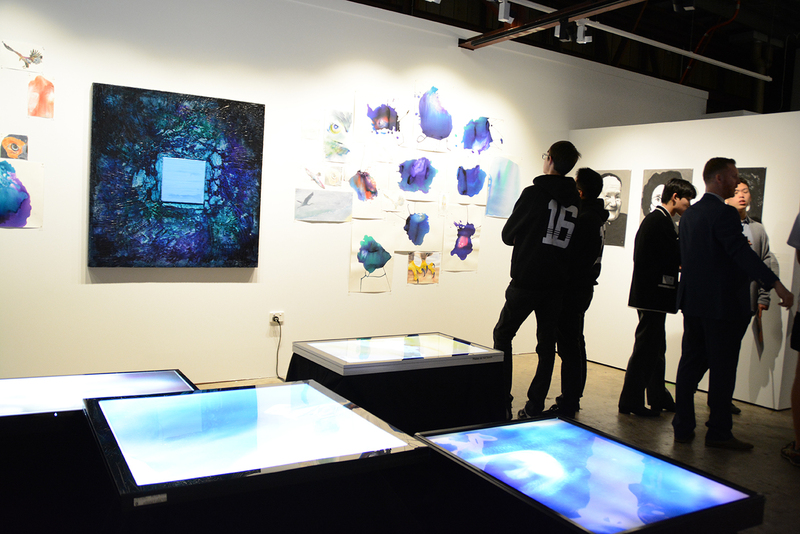 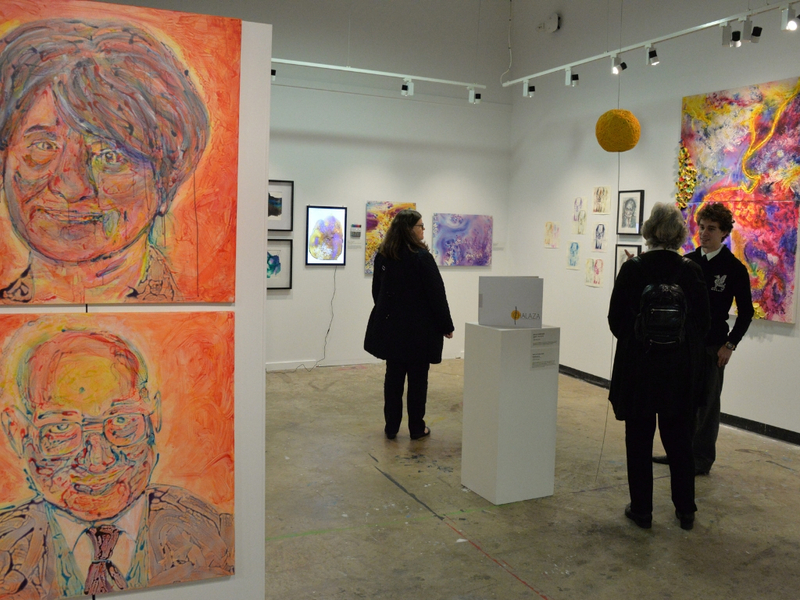 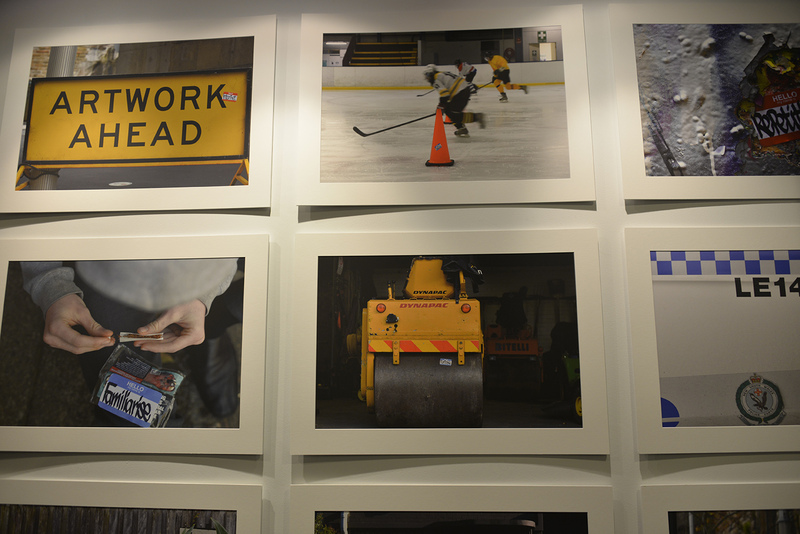 Objects of Learning is a showcase of HSB IB Visual Arts, Design and Technology and Industrial Technology final works. 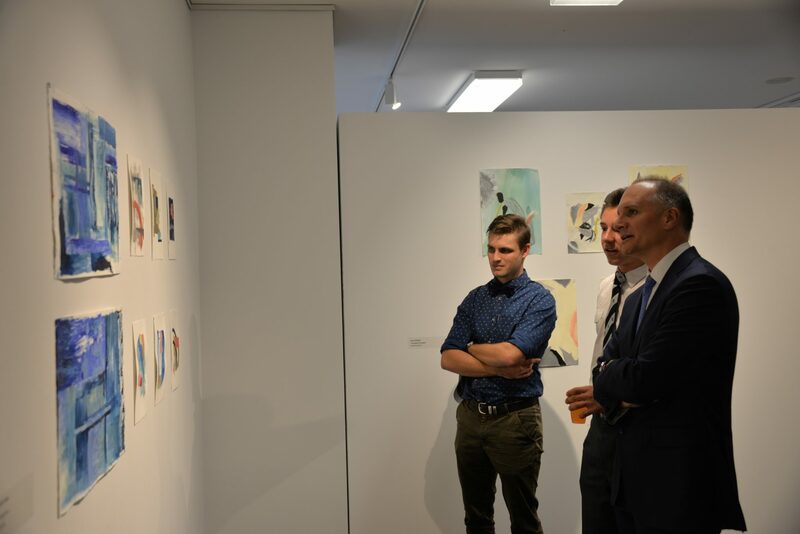 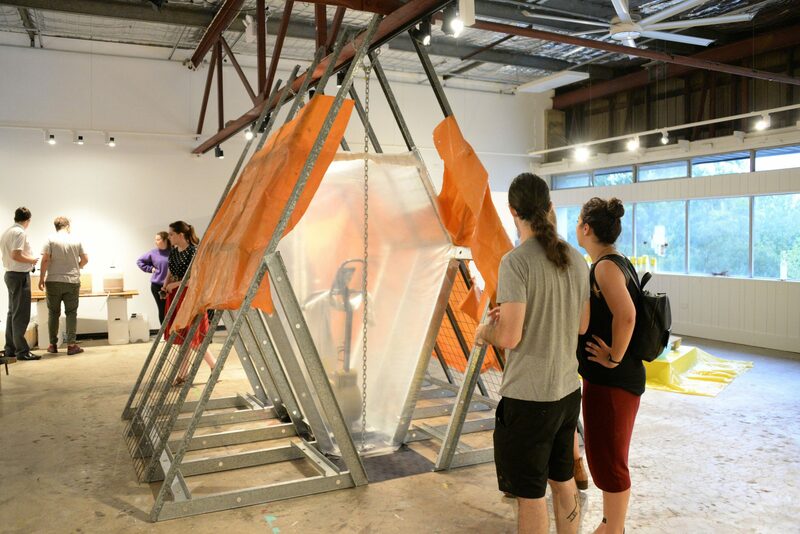 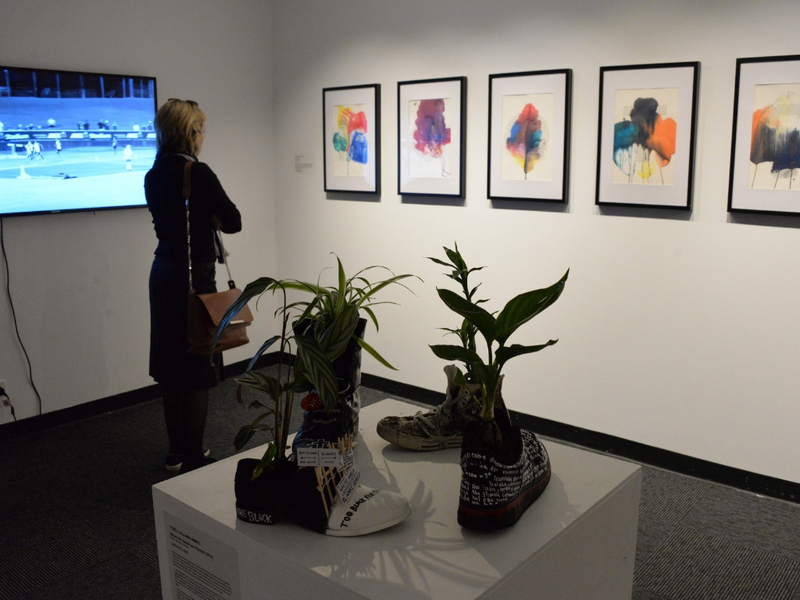 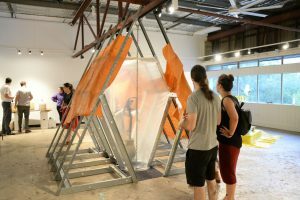 This is the first time these two departments have come together to present an exhibition at Concordia Gallery, and the show reflects not only the innovation, dedication and hard work of this year’s cohort, but also themes and concepts that are relevant to youths today. 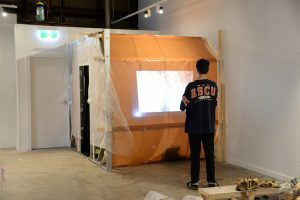 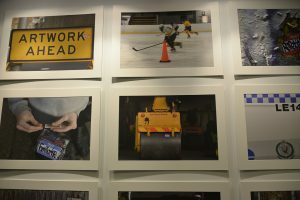 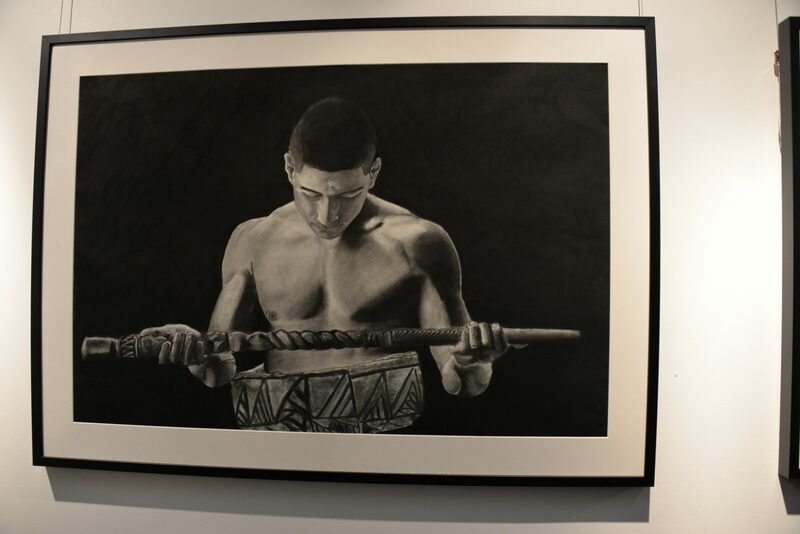 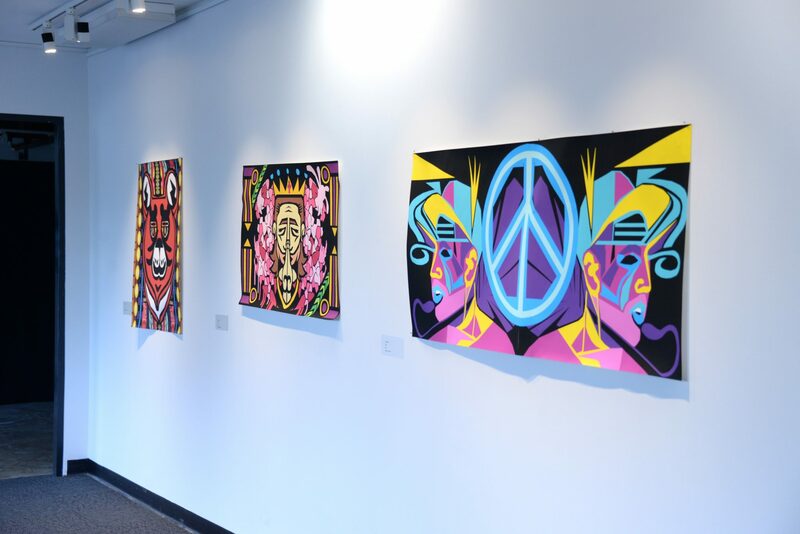 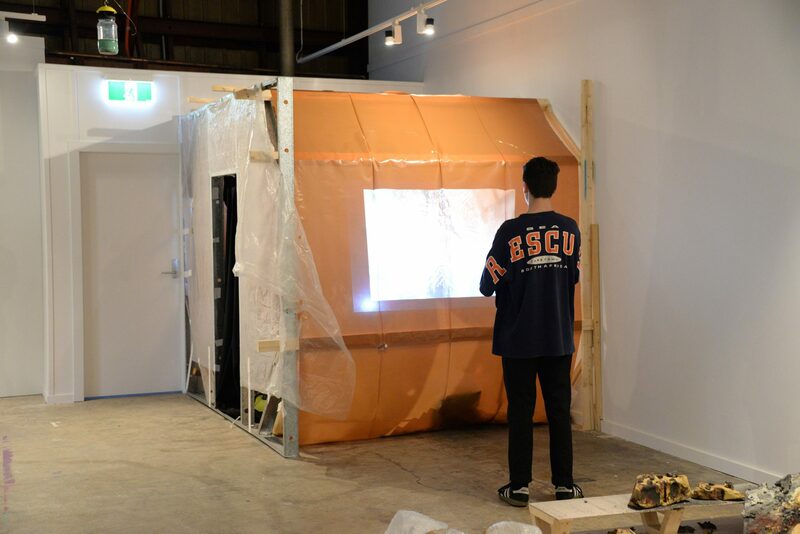 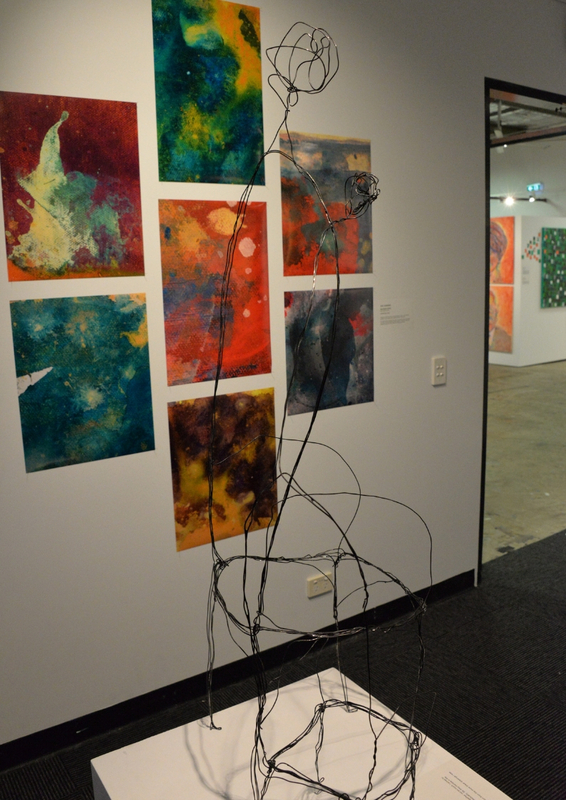 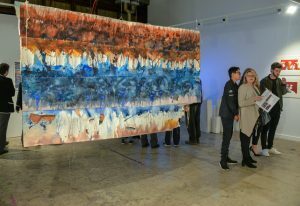 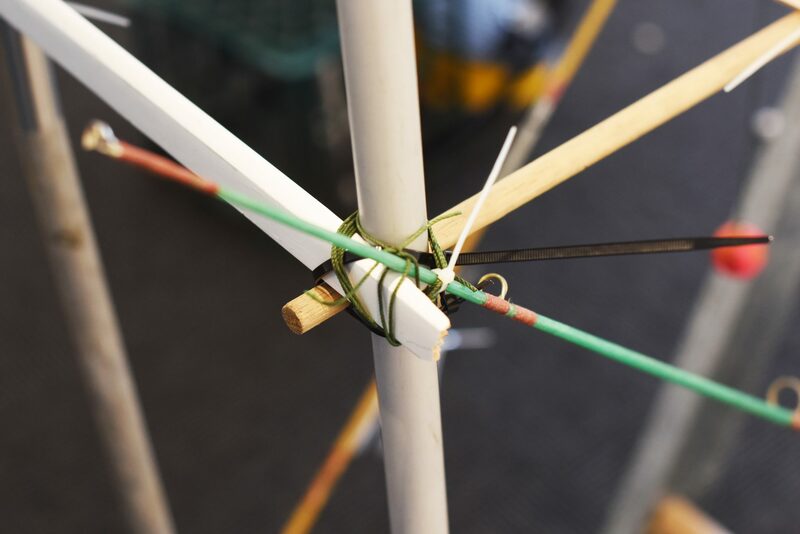 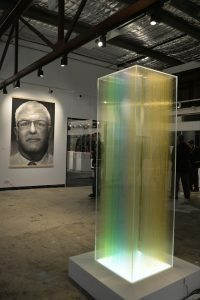 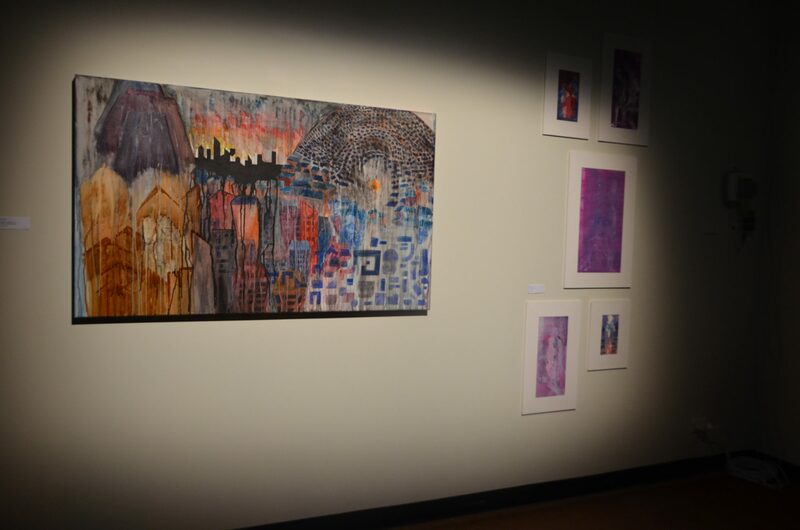 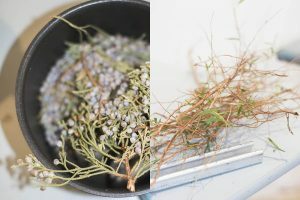 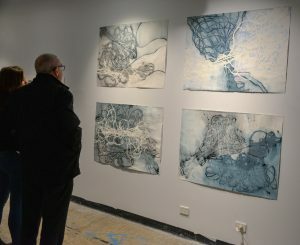 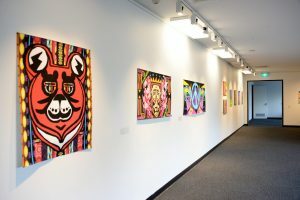 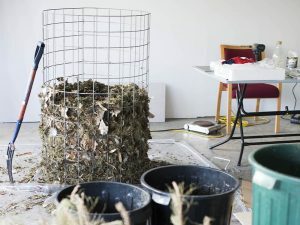 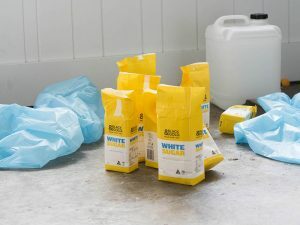 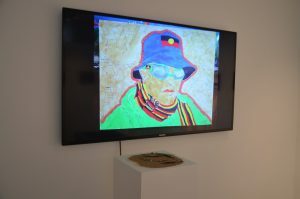 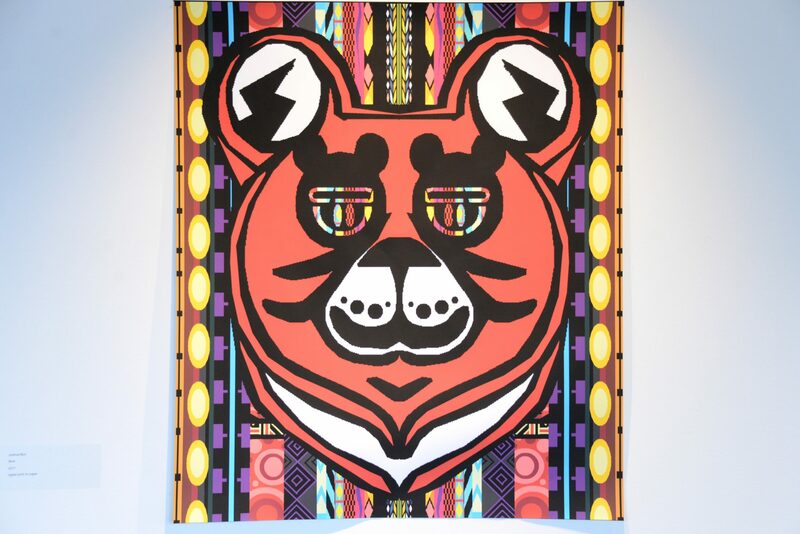 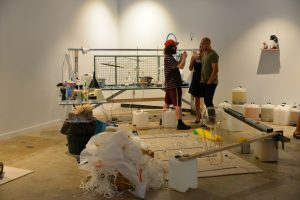 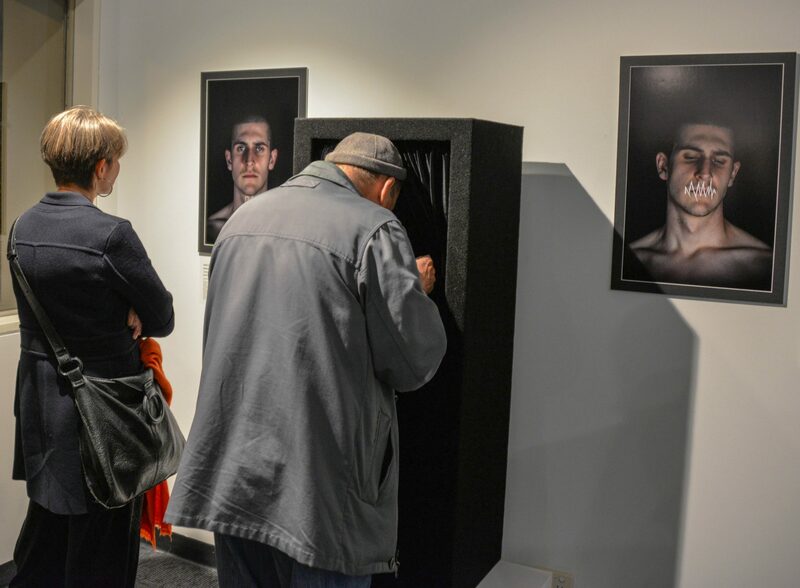 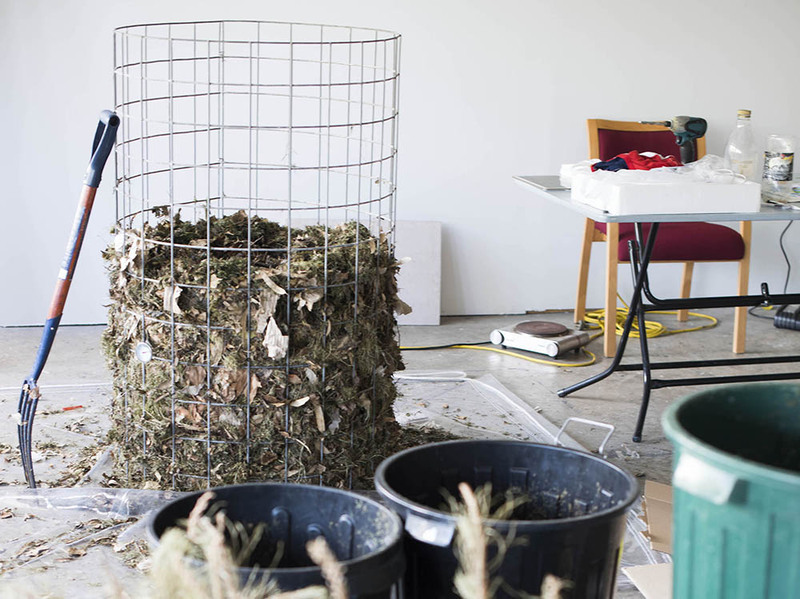 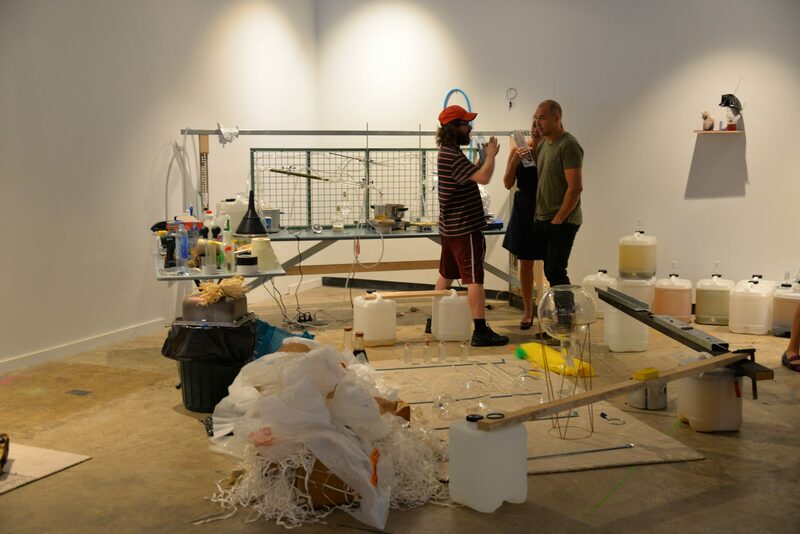 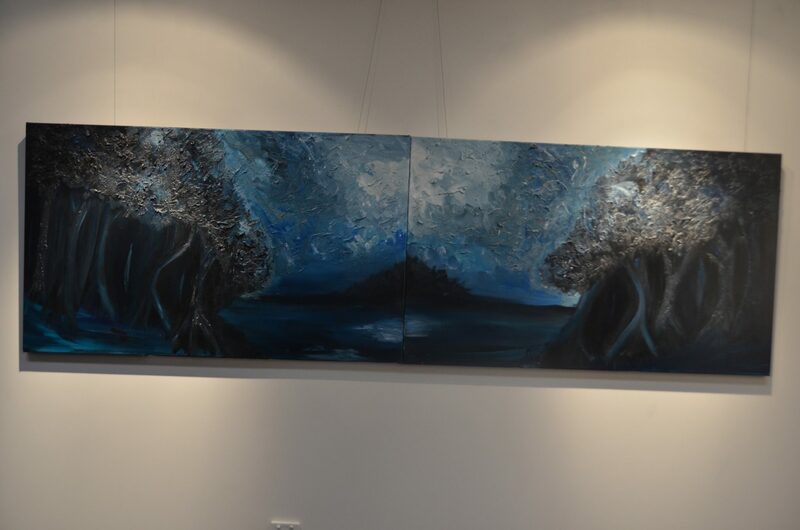 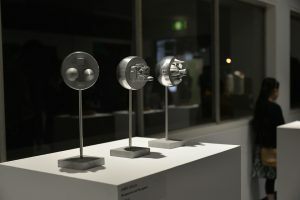 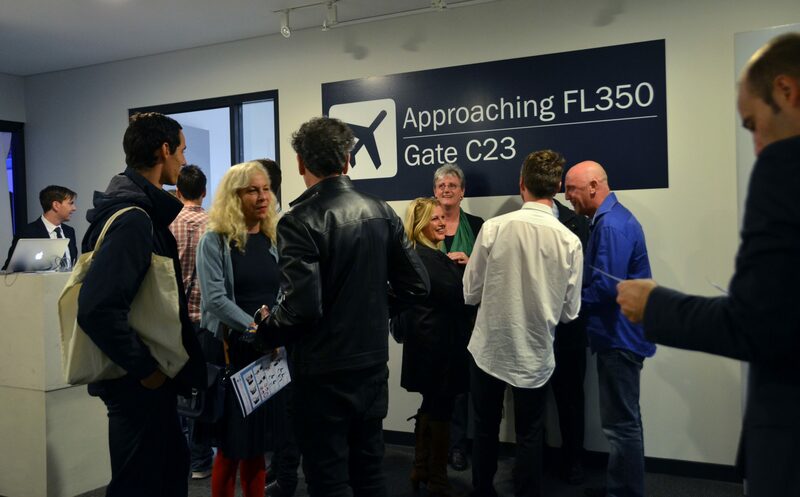 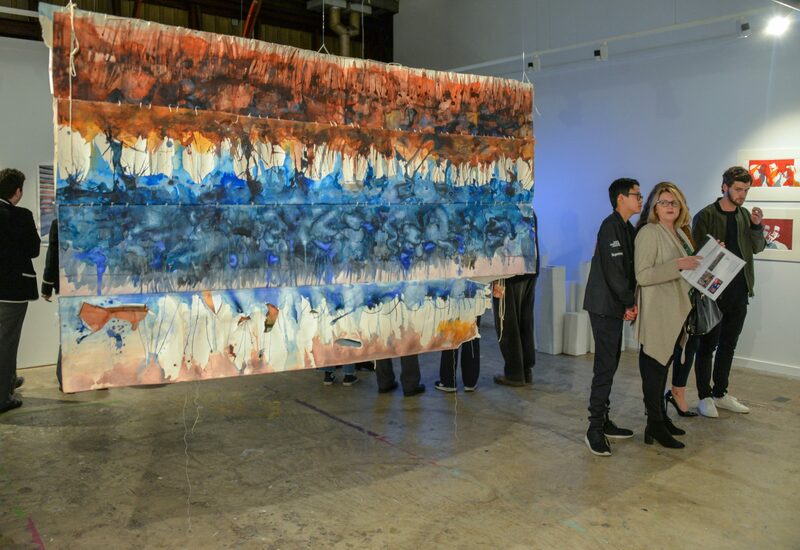 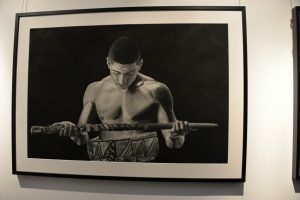 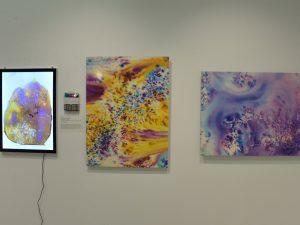 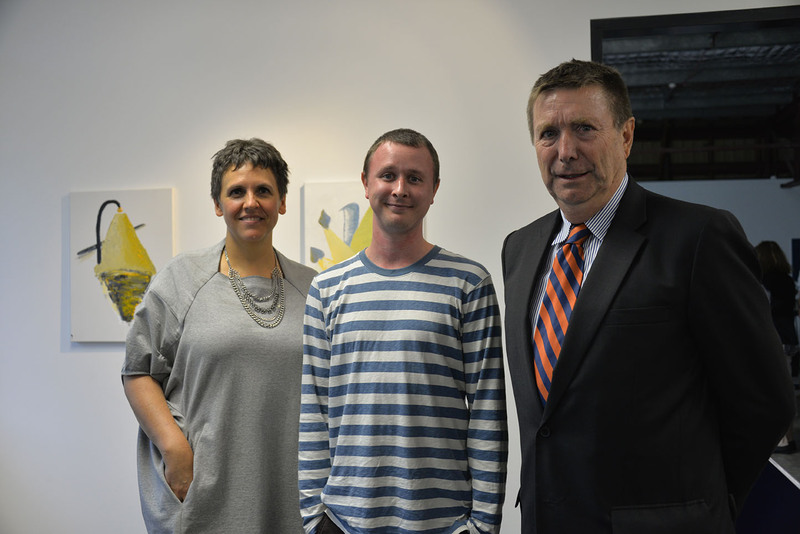 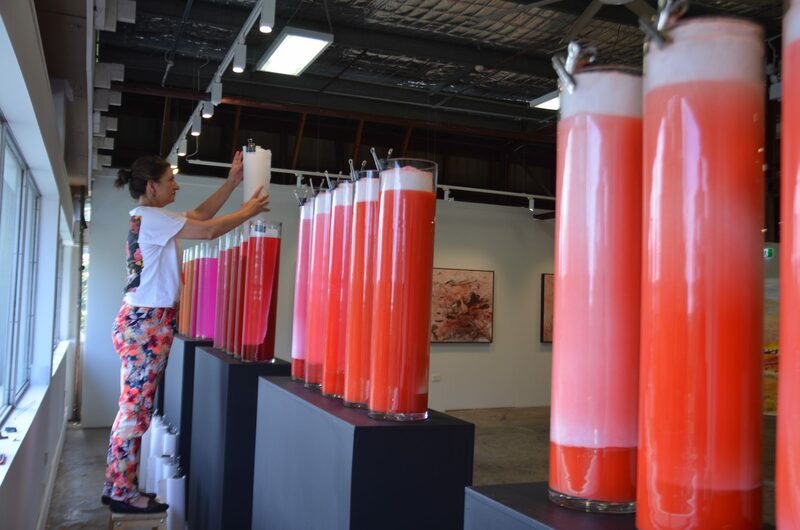 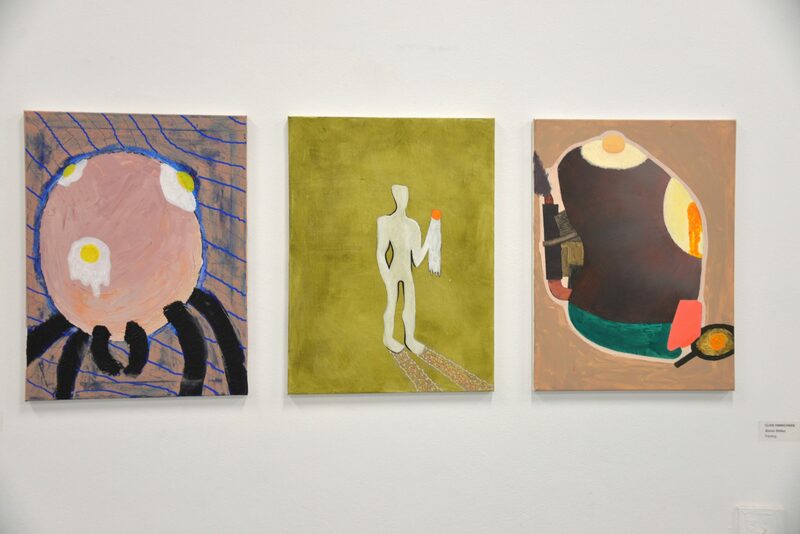 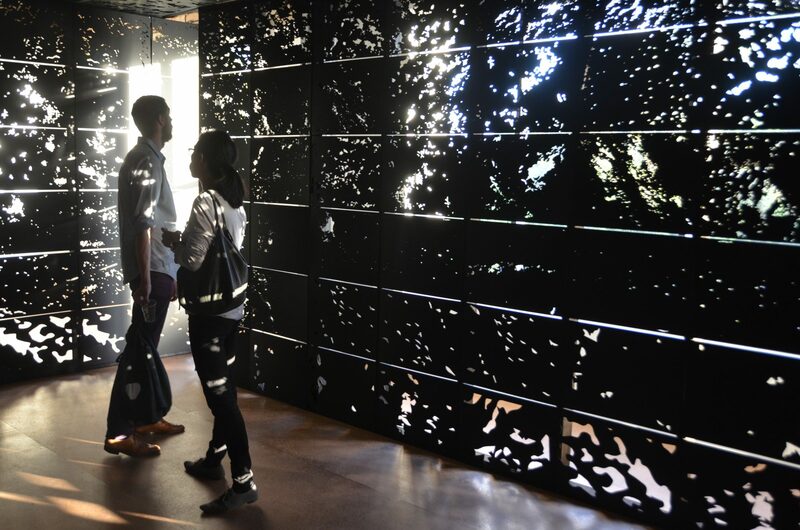 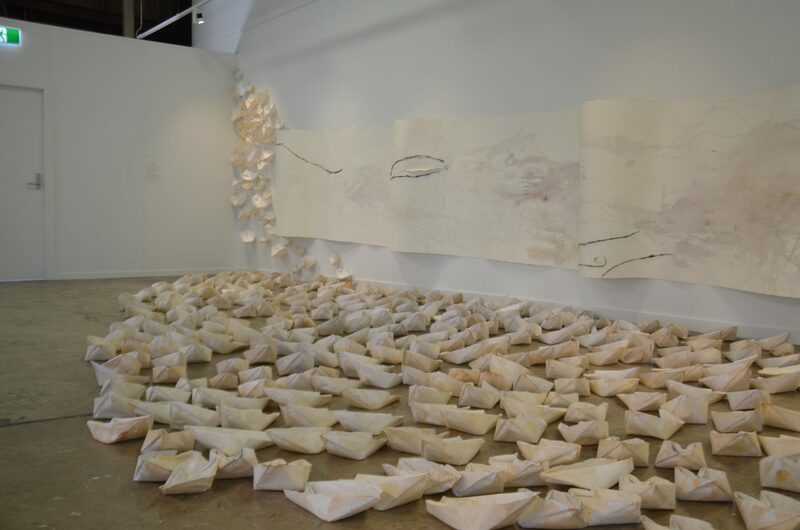 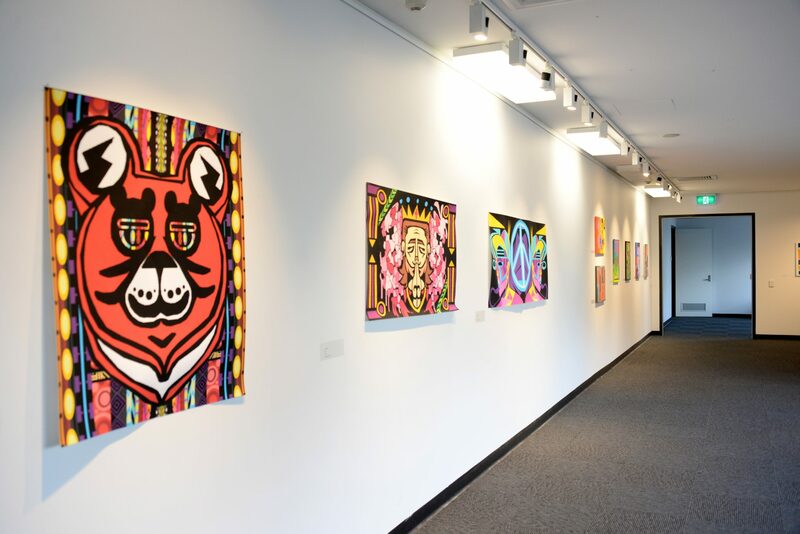 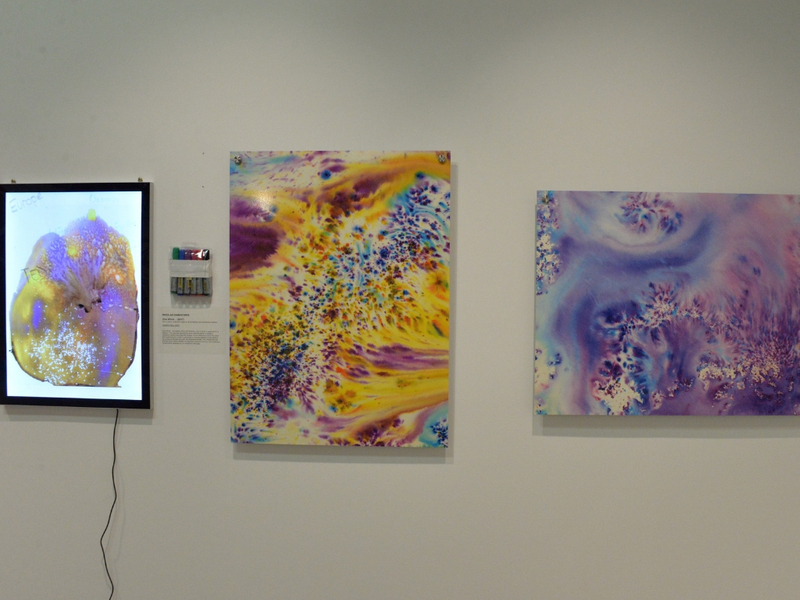 In addition, student works are displayed alongside pieces from some of Australia’s premier contemporary artists – Shaun Gladwell, Julie Rrap, Janet Laurence and Vernon Ah Kee – creating a dialogue between those that are at the peak of their career and those just starting out. 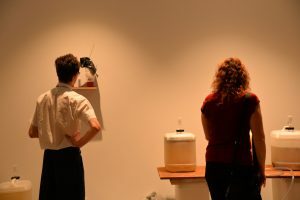 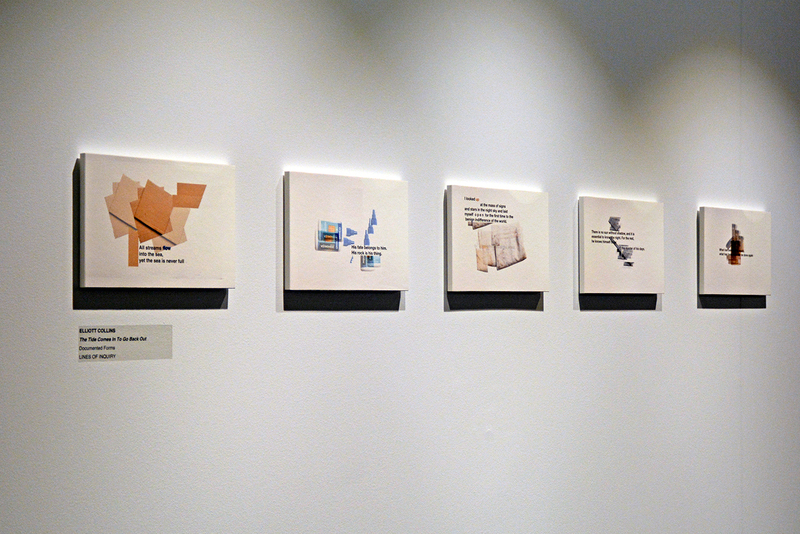 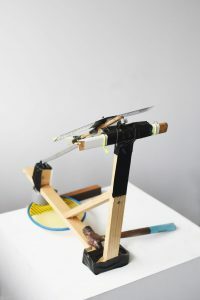 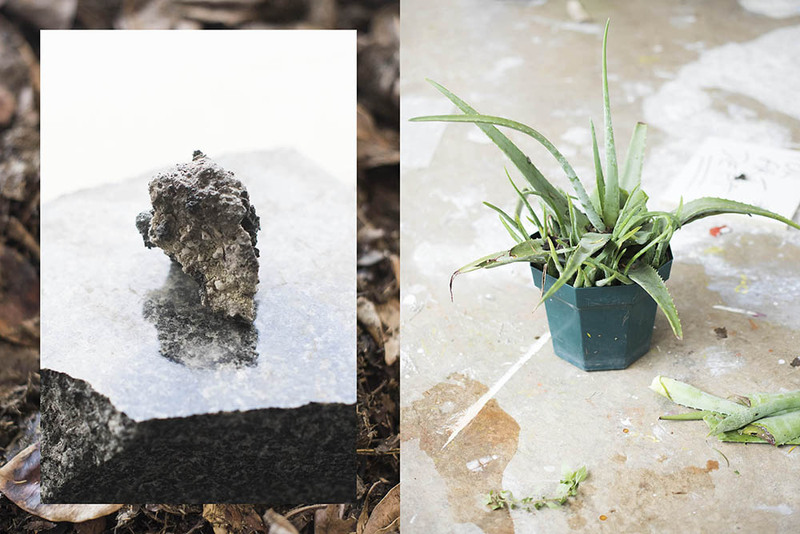 Objects of Learning was curated by Hannah Chapman.